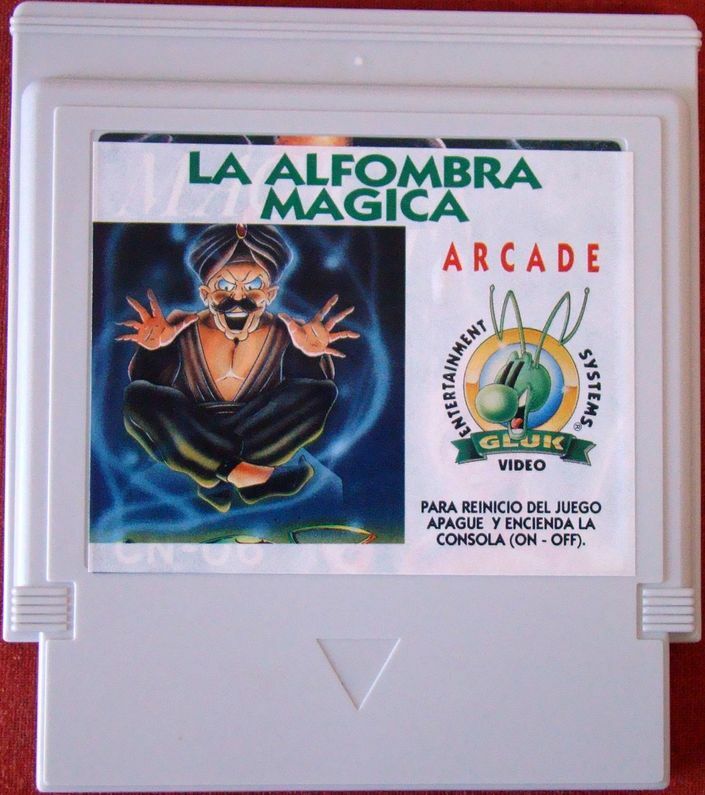 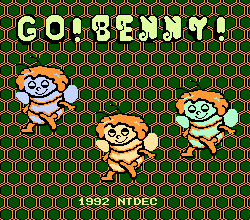 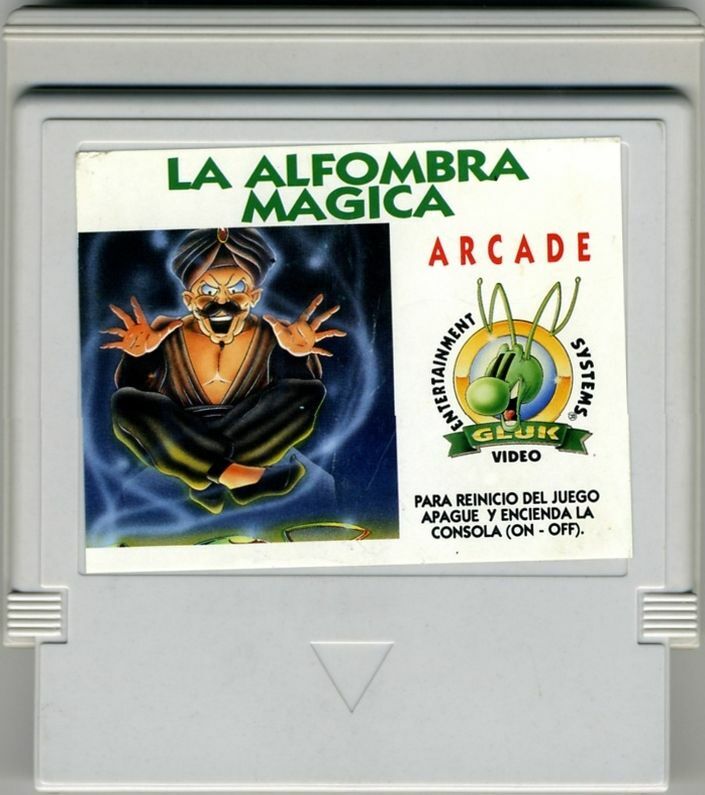 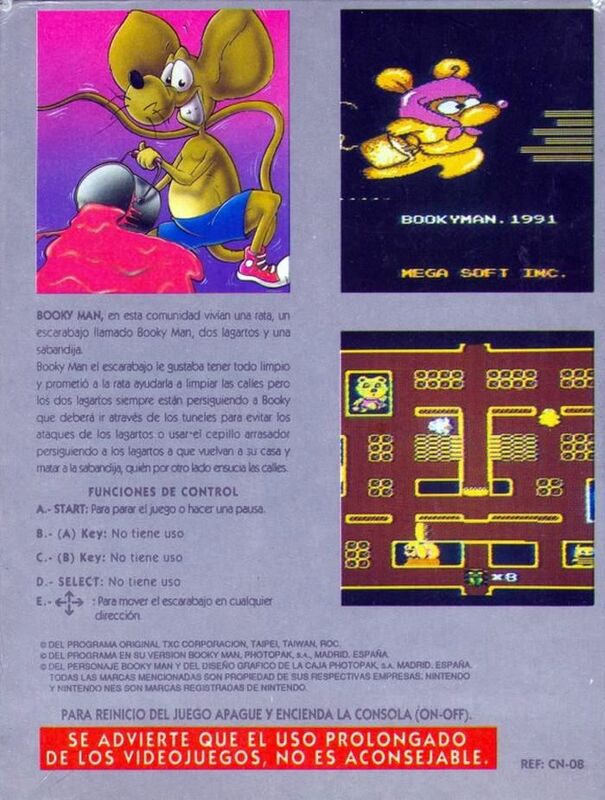 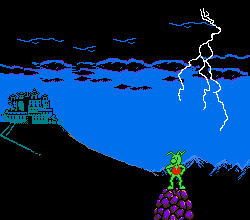 A lateral scrolling adventure game in which you control the mascot of the brand, it has the power of the lightning. 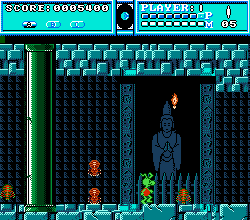 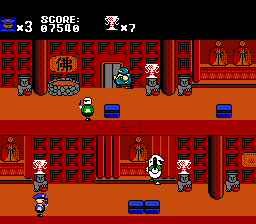 You have to recover the 9 pieces of the sacred urn to finish the game. 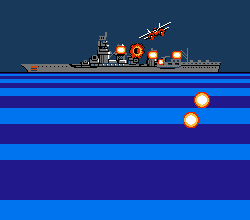 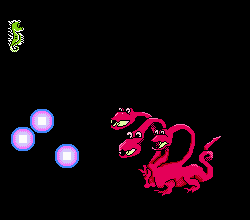 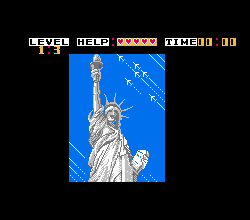 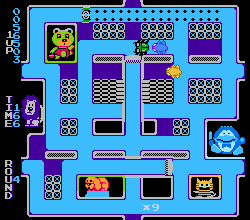 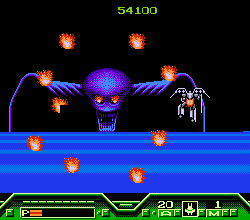 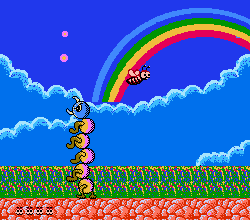 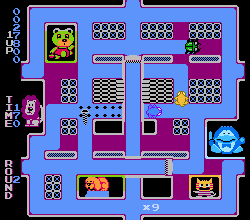 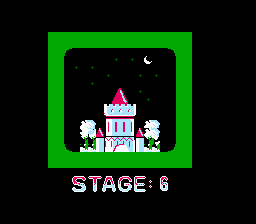 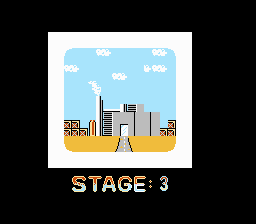 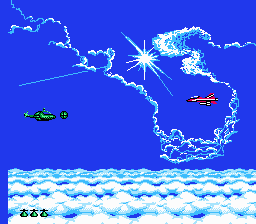 The final bosses are big and the game has a lot of variety on its stages. 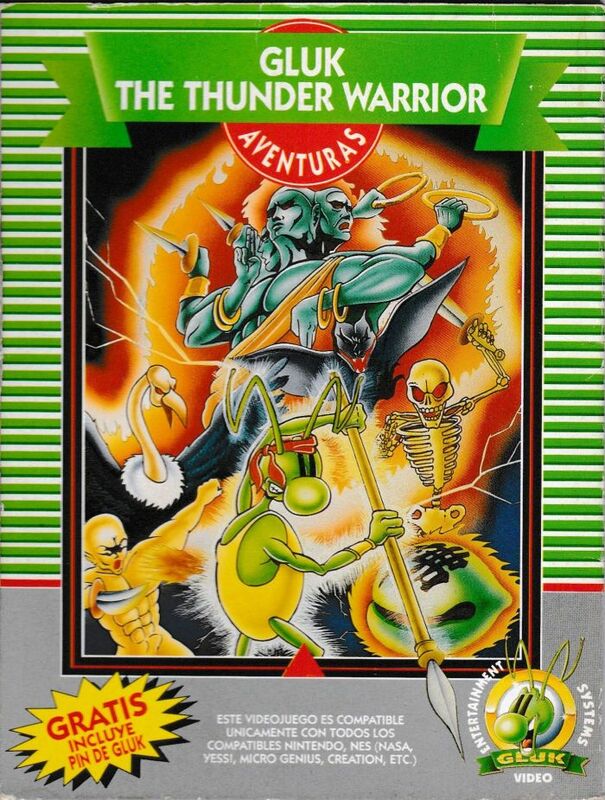 -Hack of the game "Thunder Warrior" of the same Micro Genius. 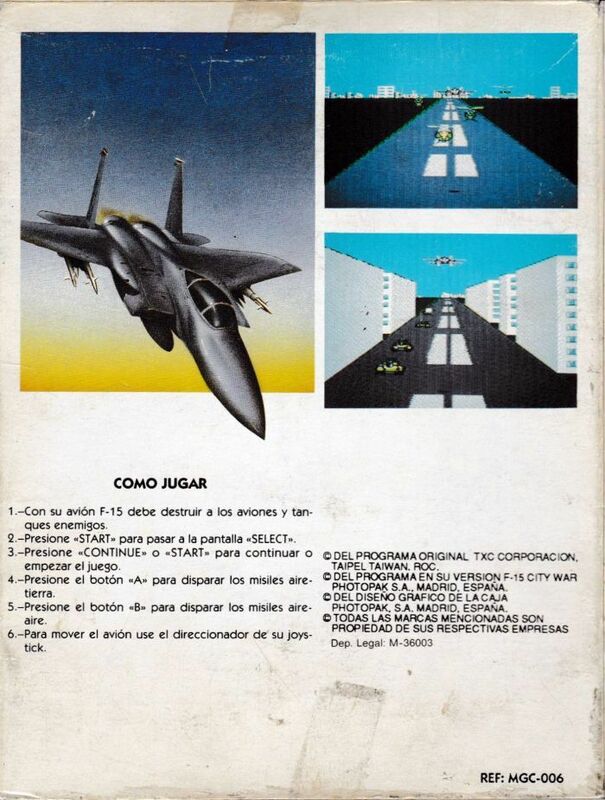 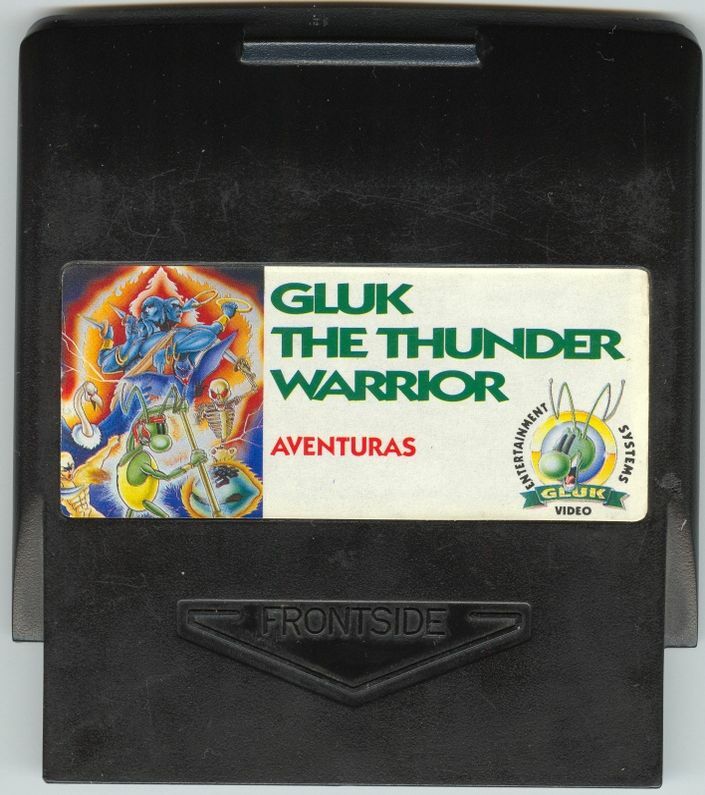 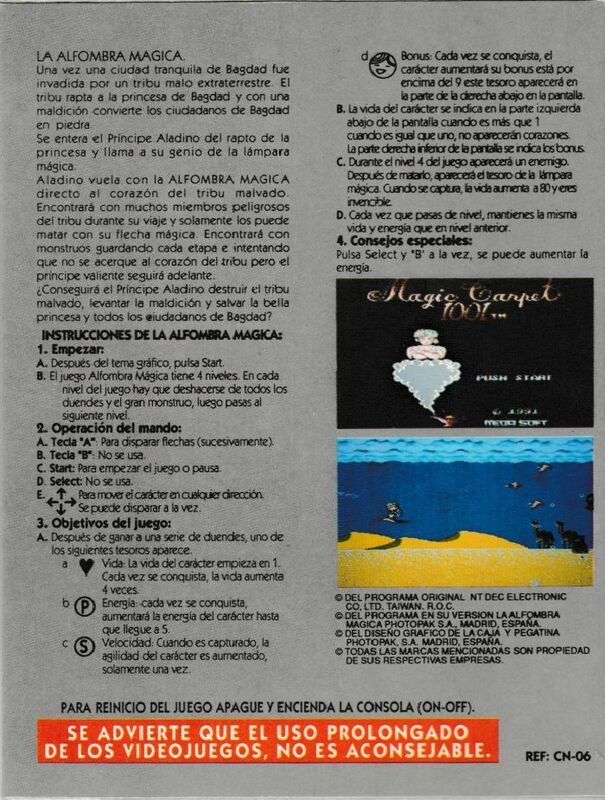 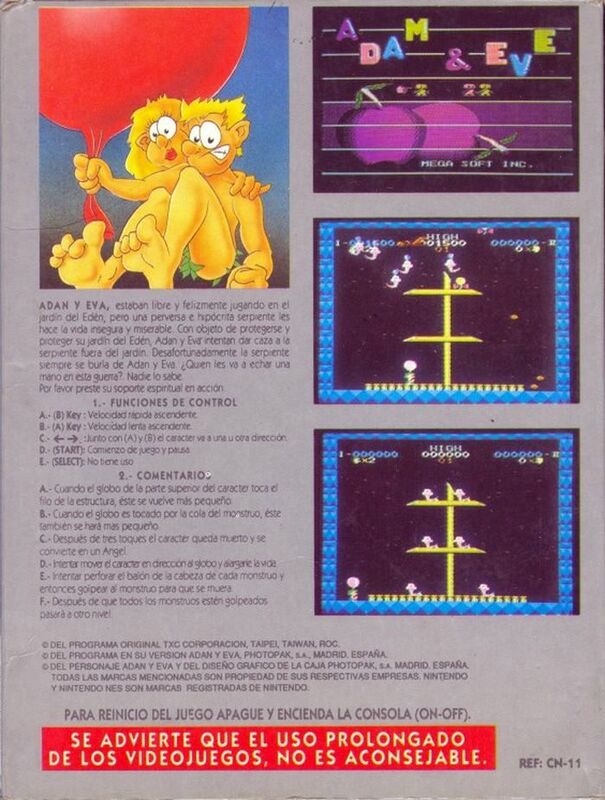 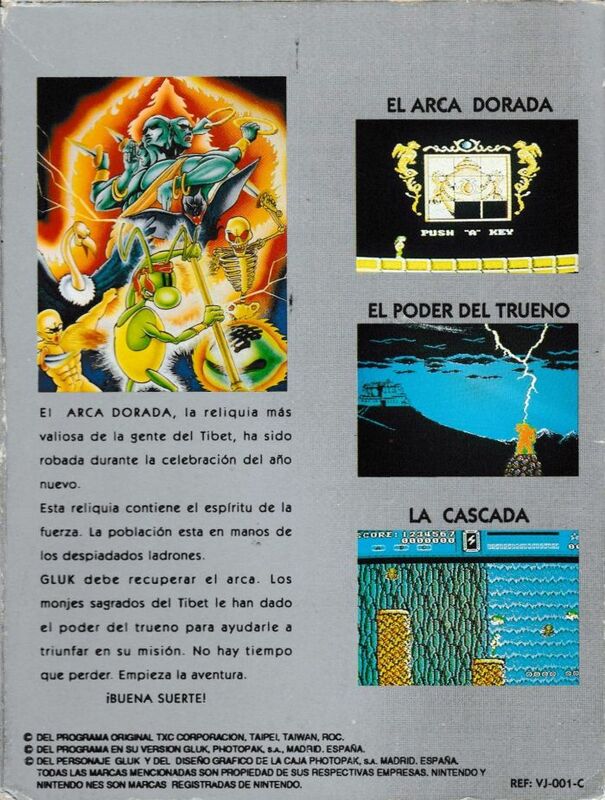 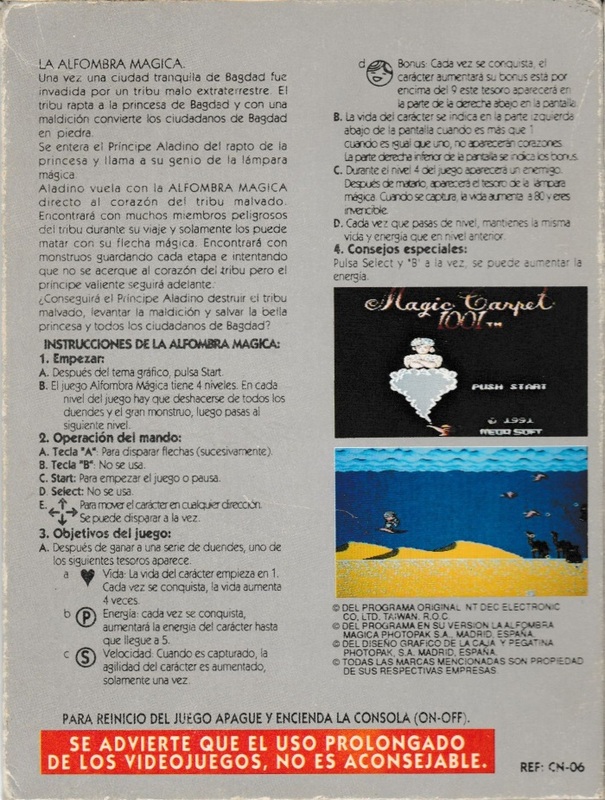 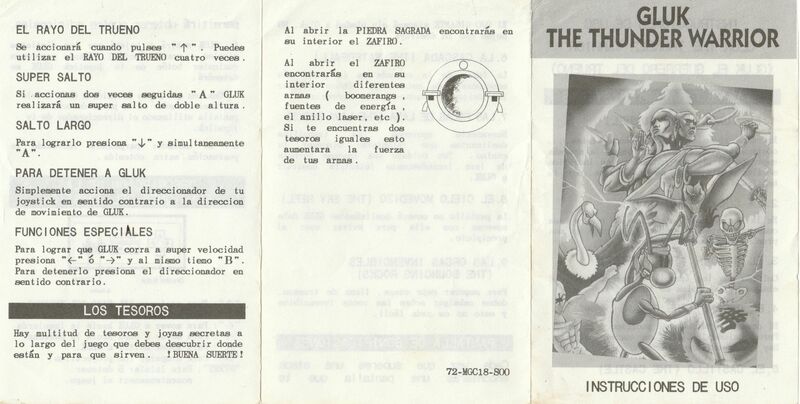 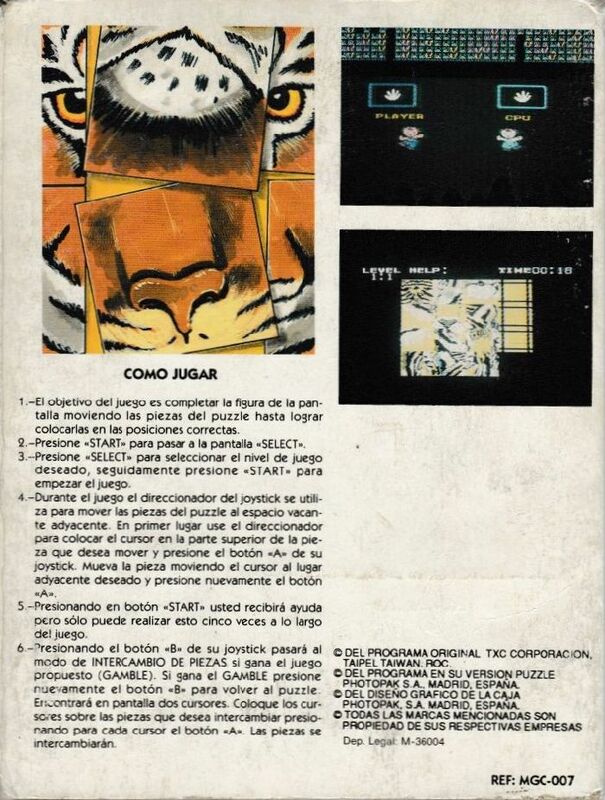 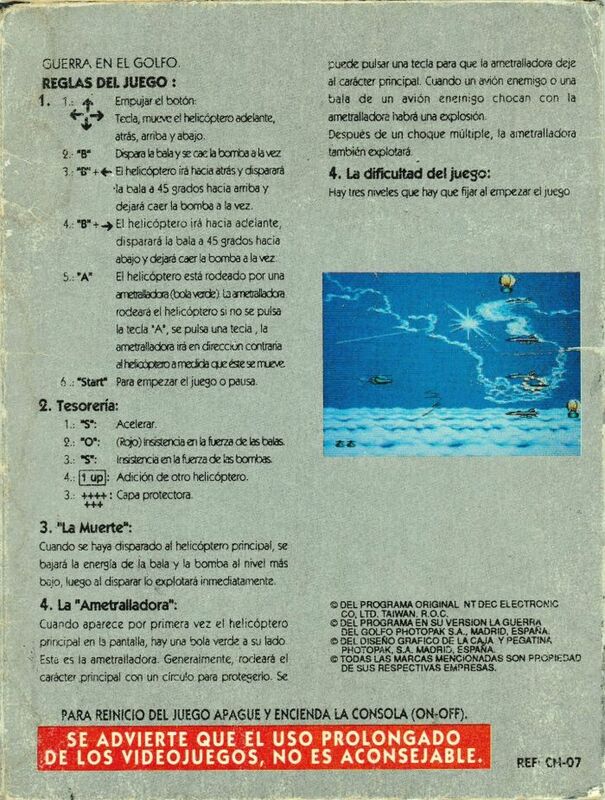 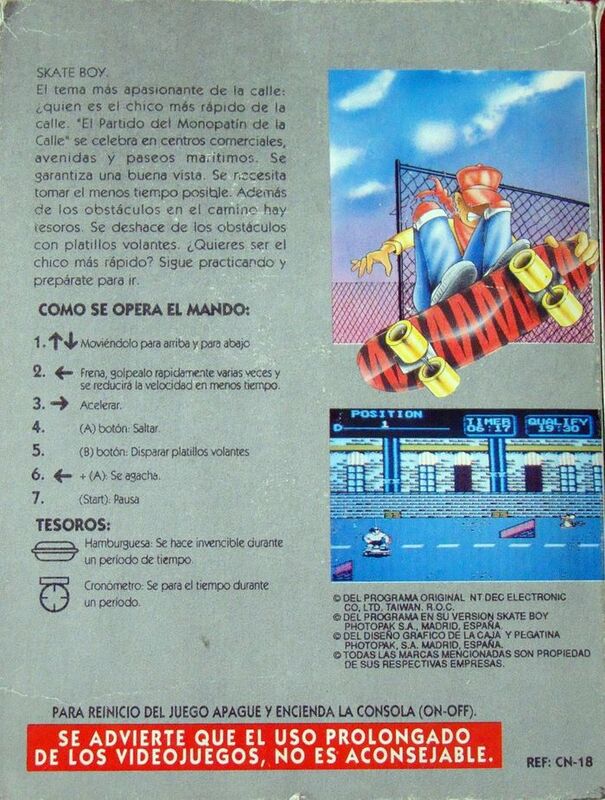 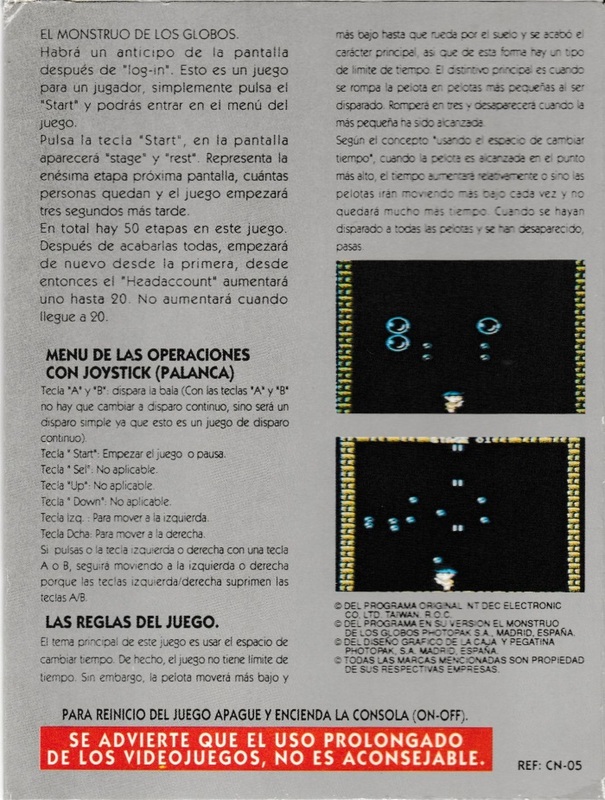 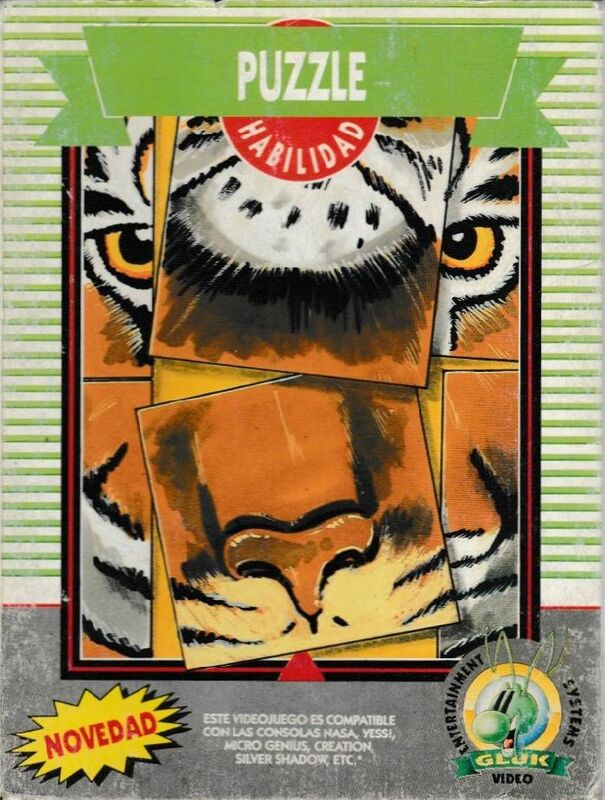 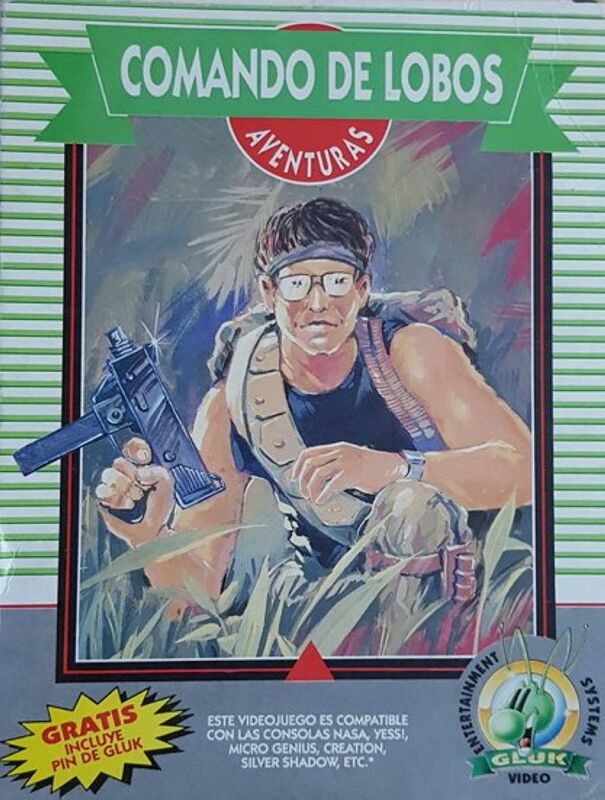 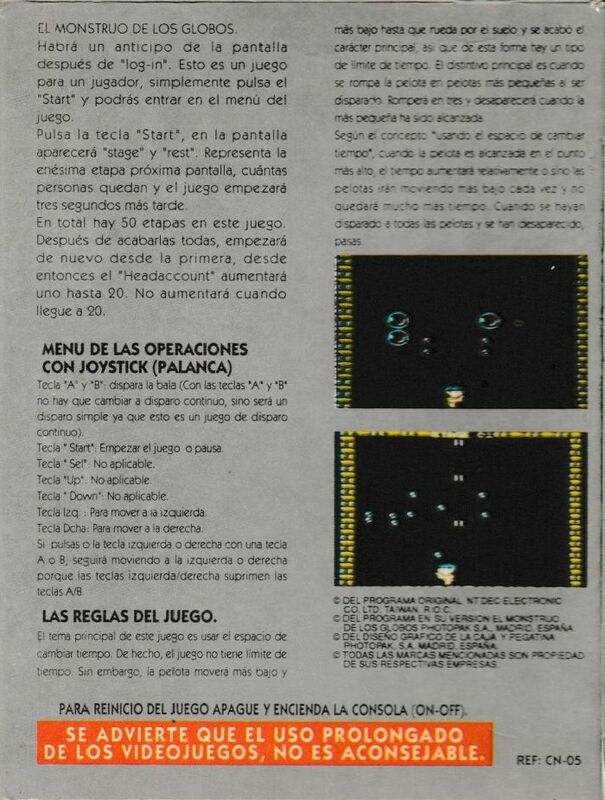 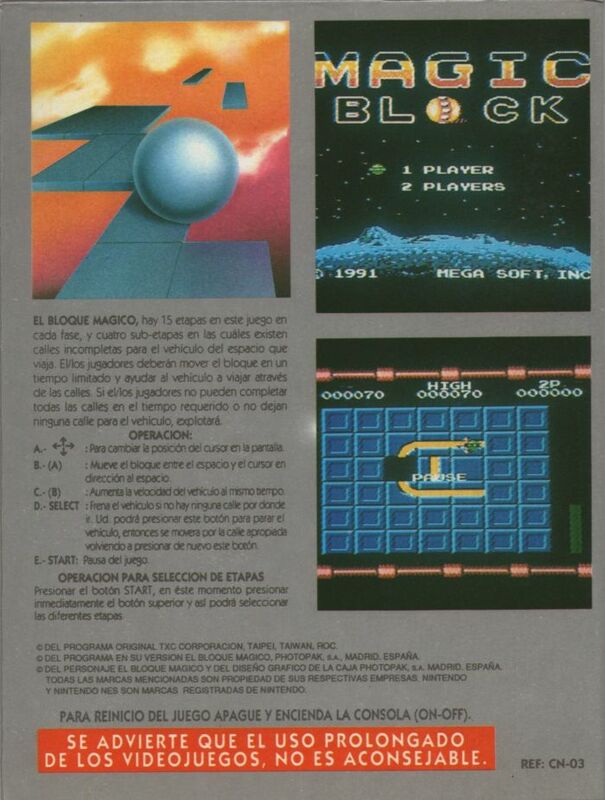 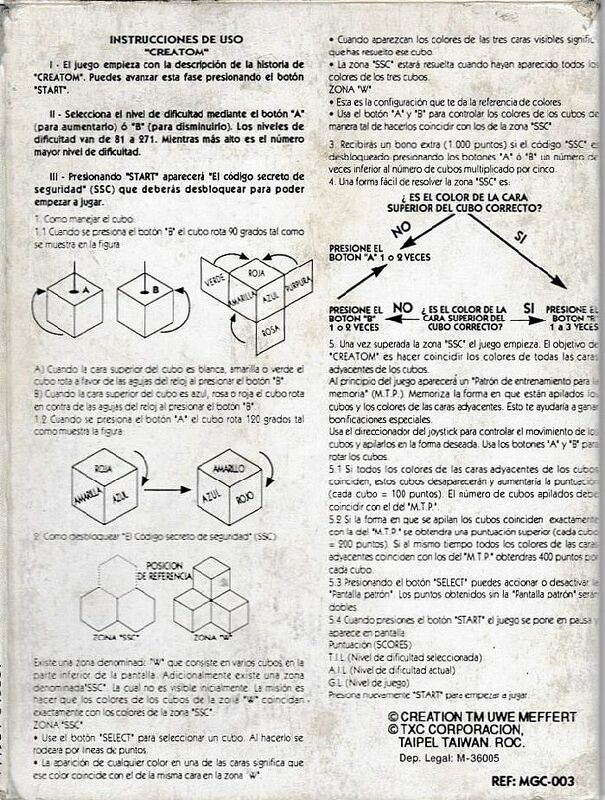 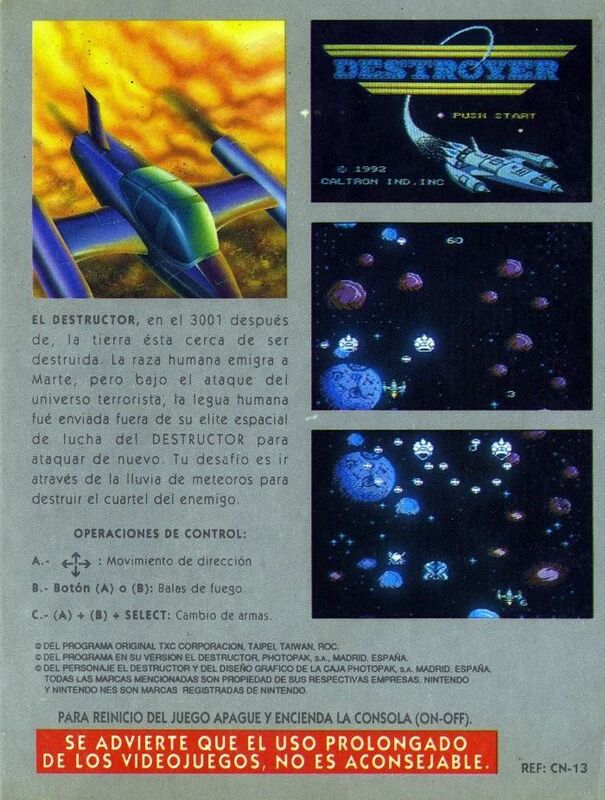 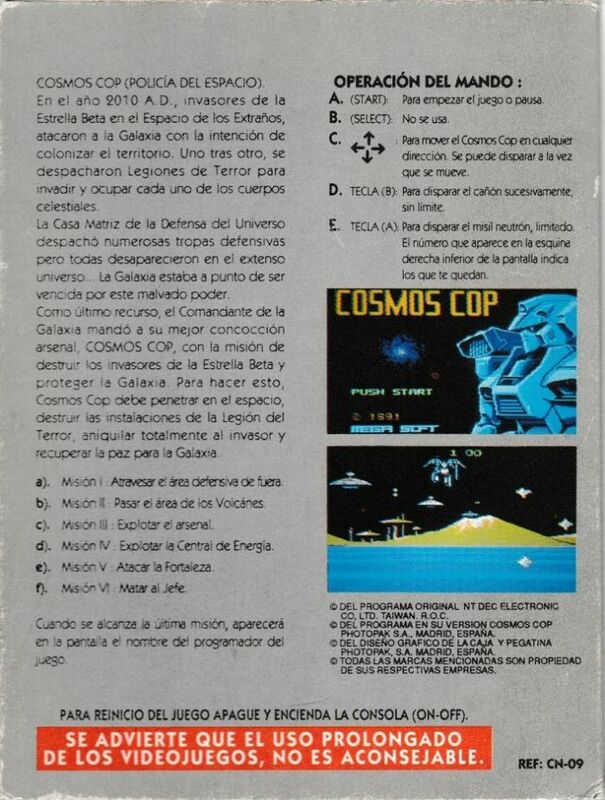 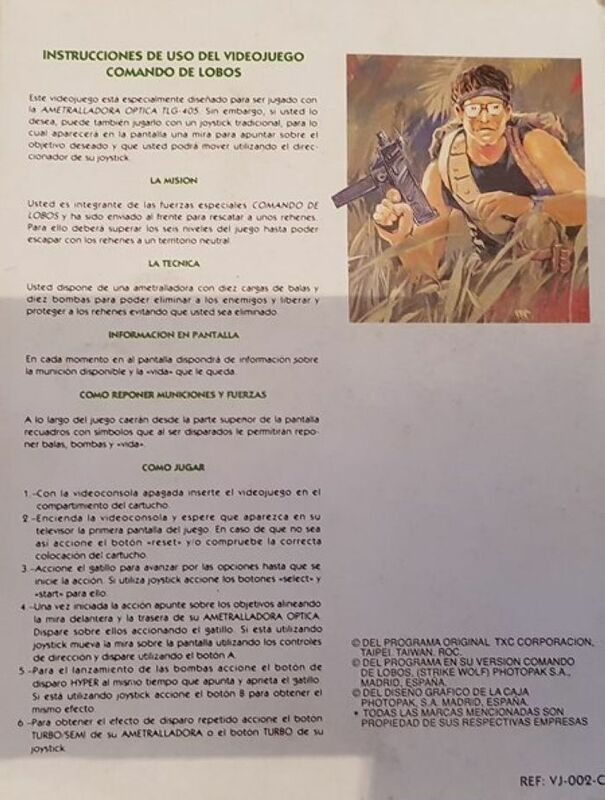 -On the back of the box the screenshots are from the original game "Thunder Warrior" instead of the Gluk hack. 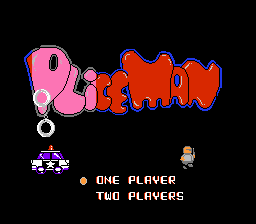 Arcade game for one player to shoot in first person. 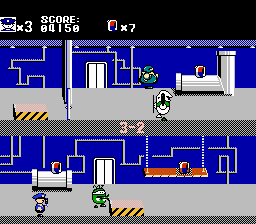 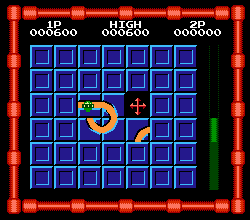 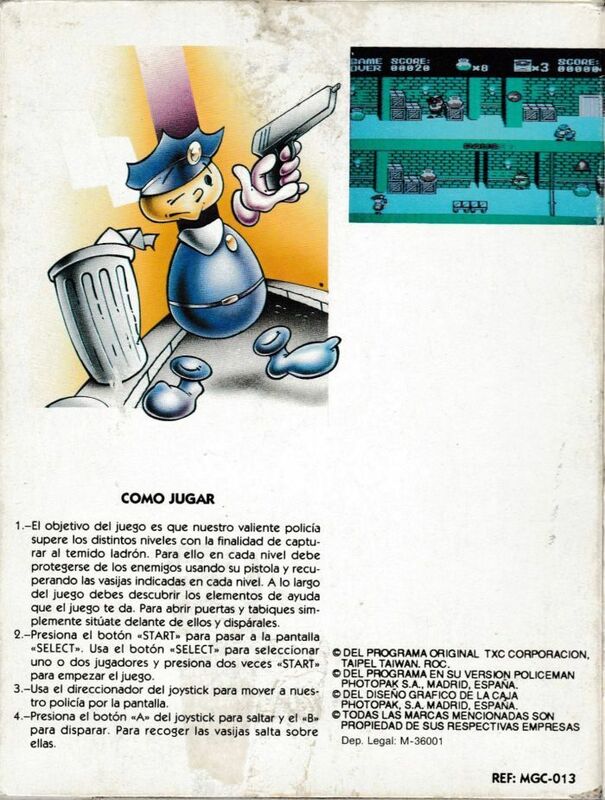 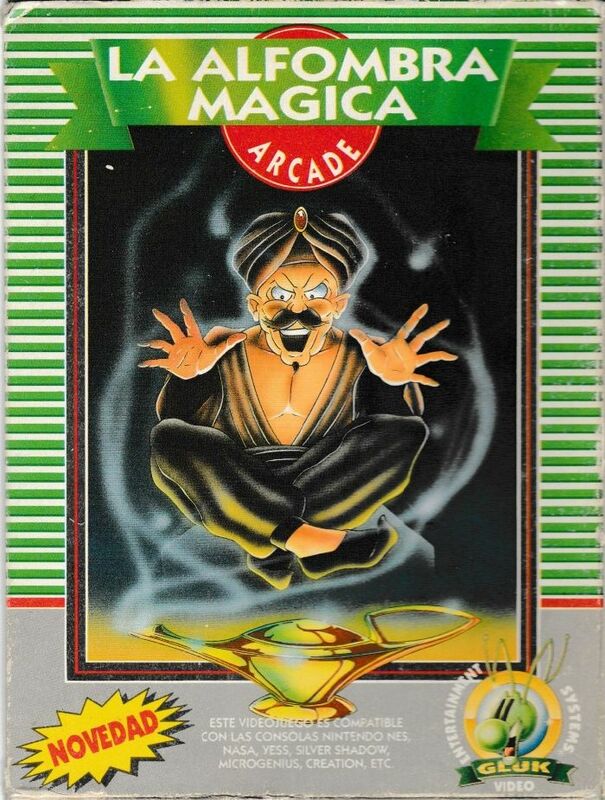 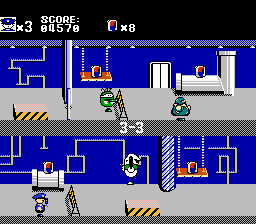 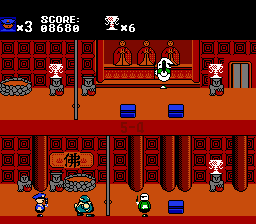 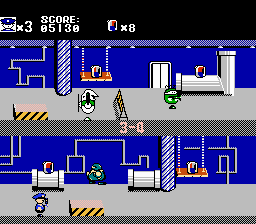 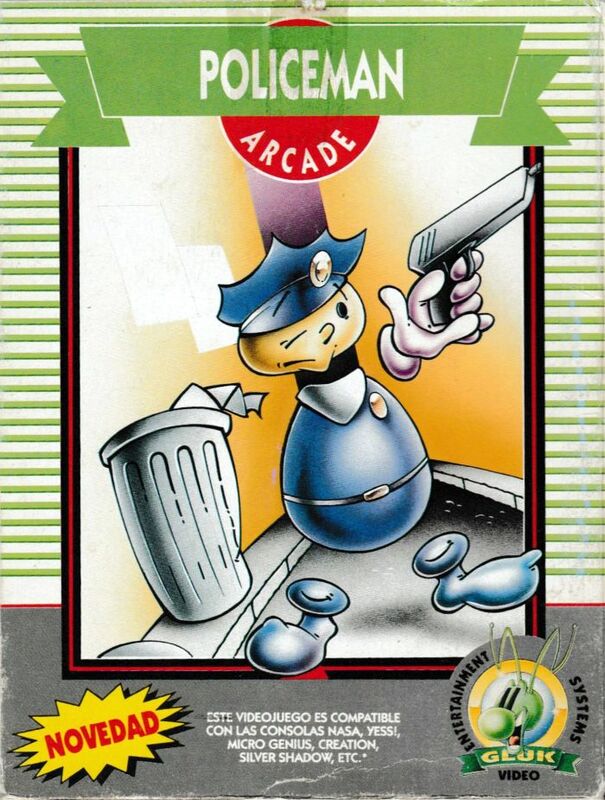 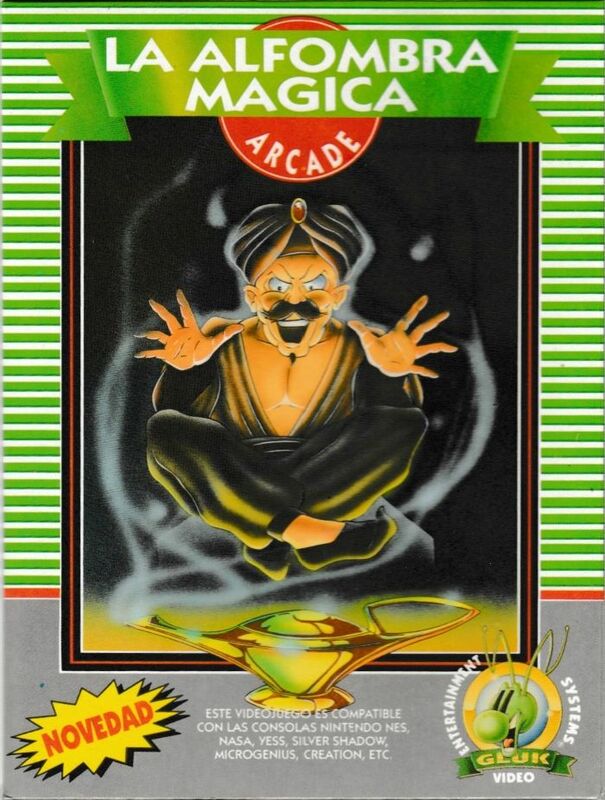 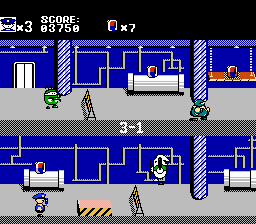 A arcade game with lateral scroll of two policemen that have to recover on every stage the objects stolen by the thieves. 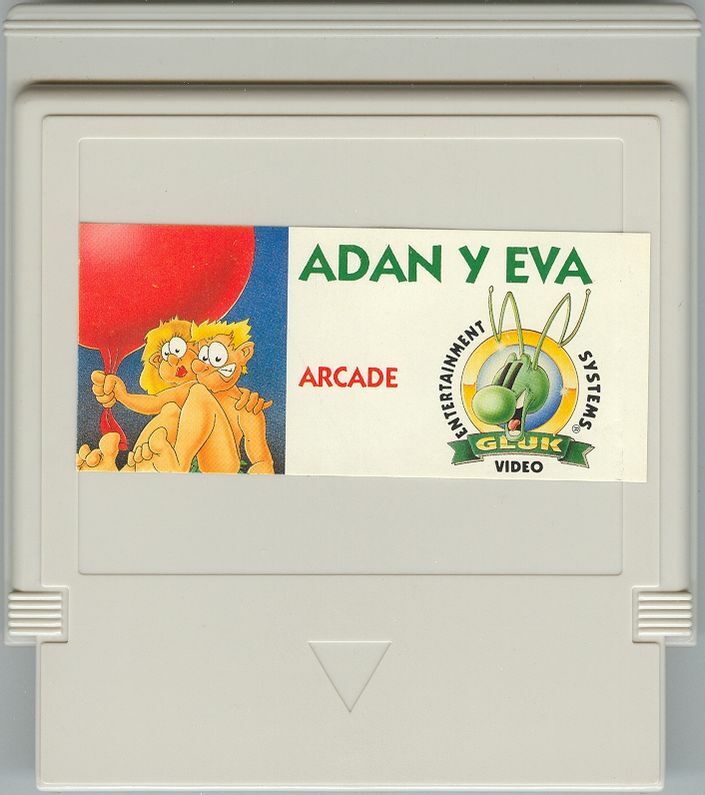 Can be played two players simultaneously, very funny. 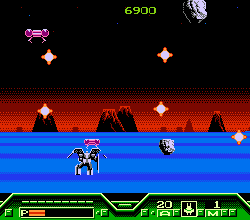 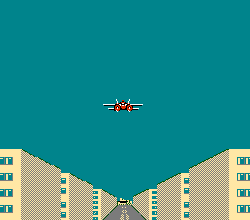 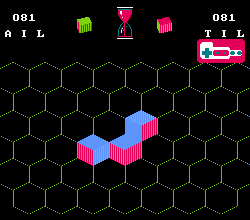 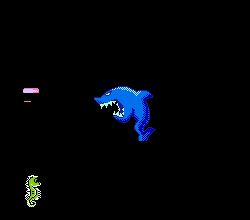 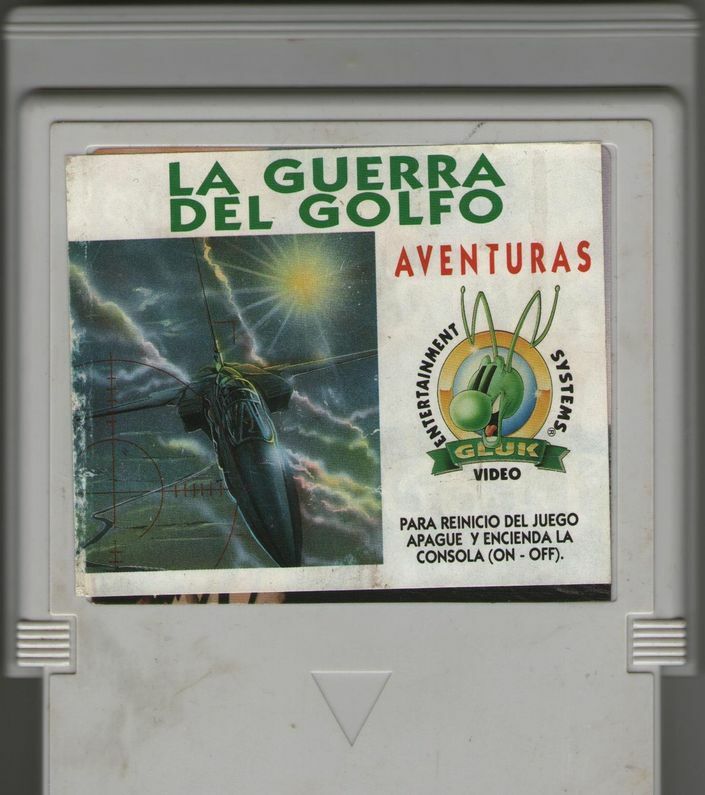 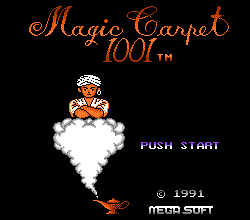 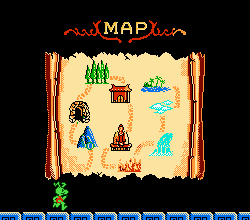 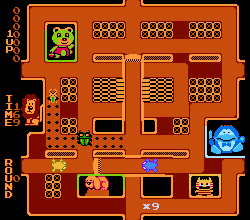 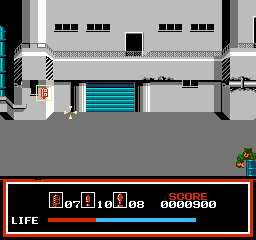 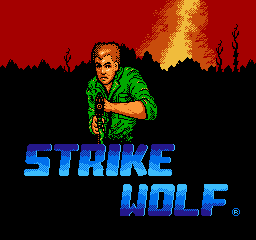 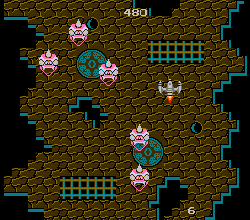 The controls are a little rigid and the enemies spawn is a little annoying, originating unfair deaths. 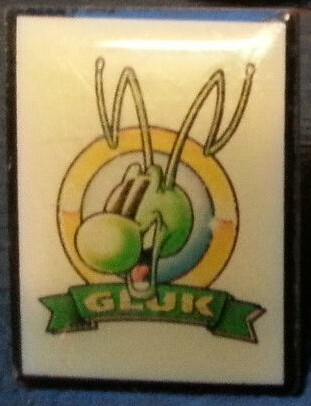 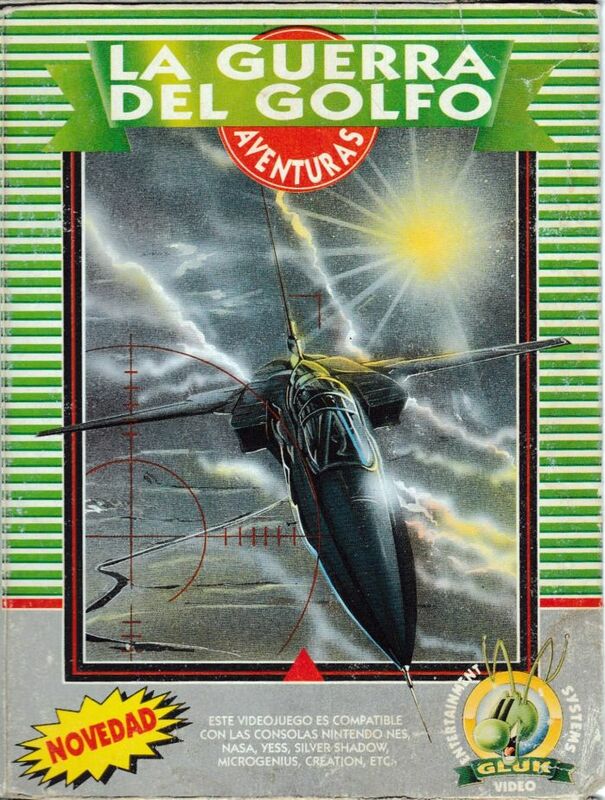 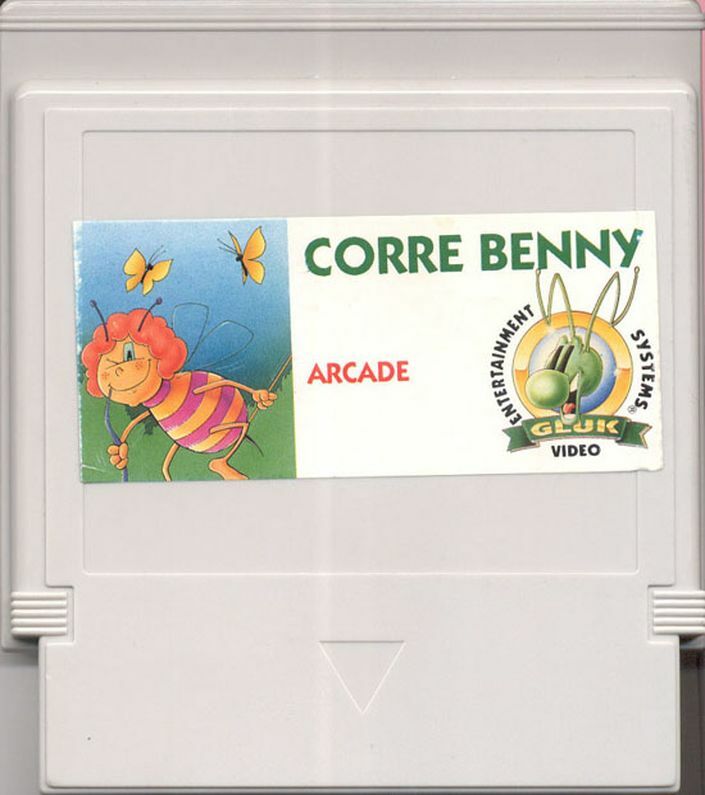 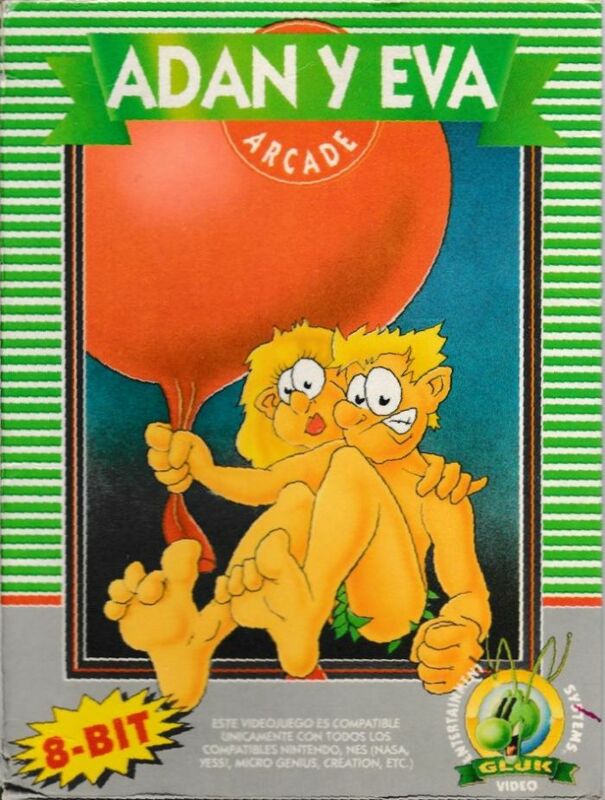 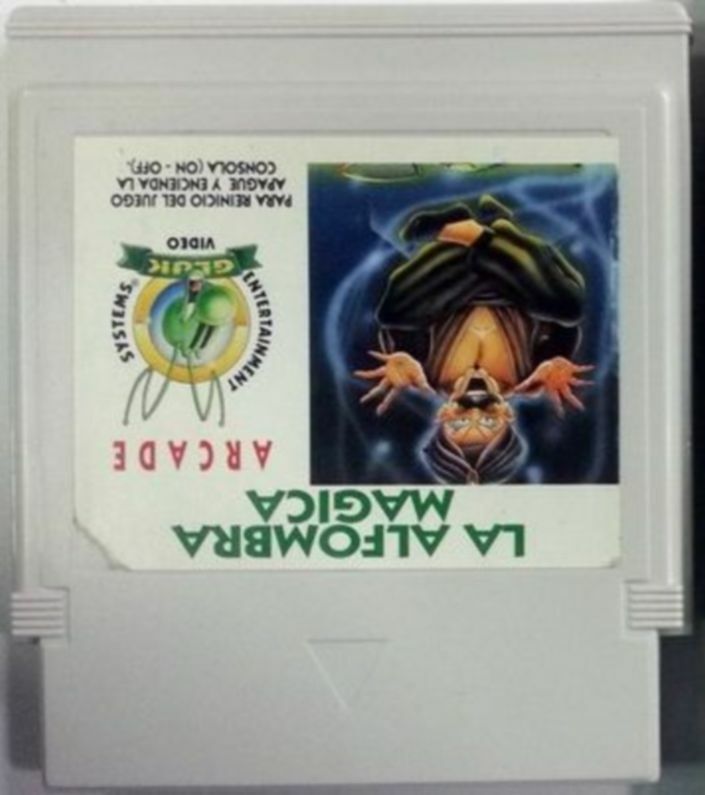 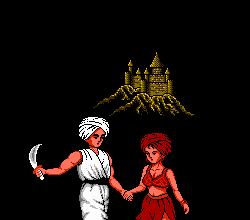 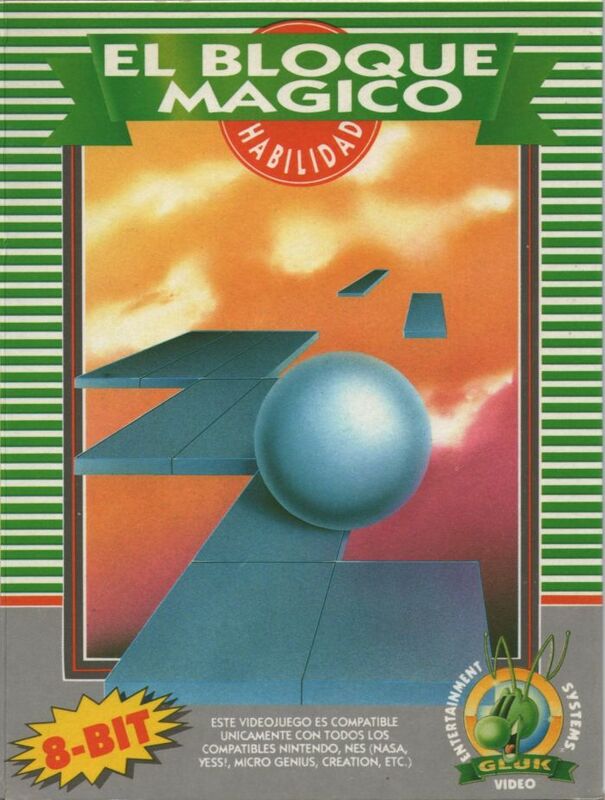 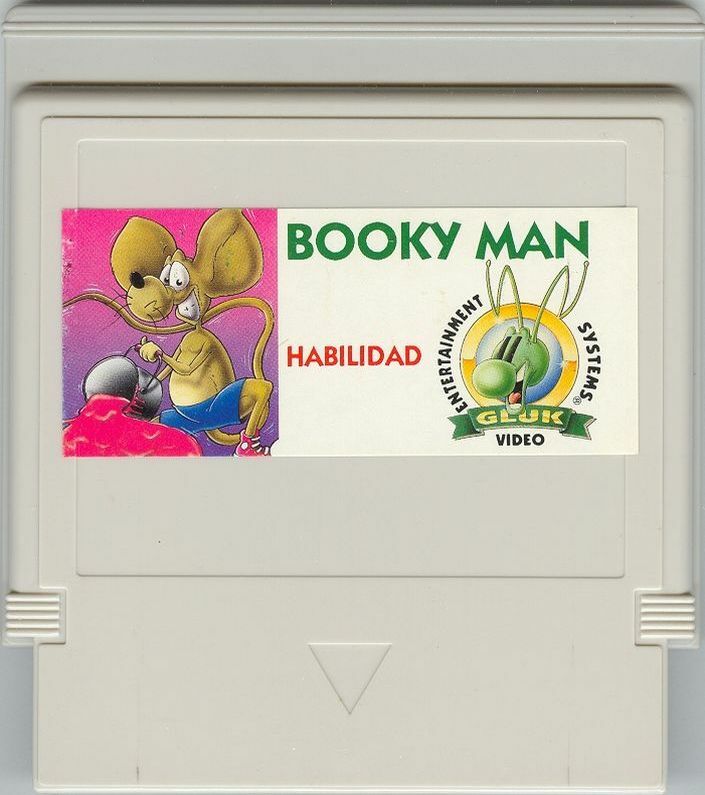 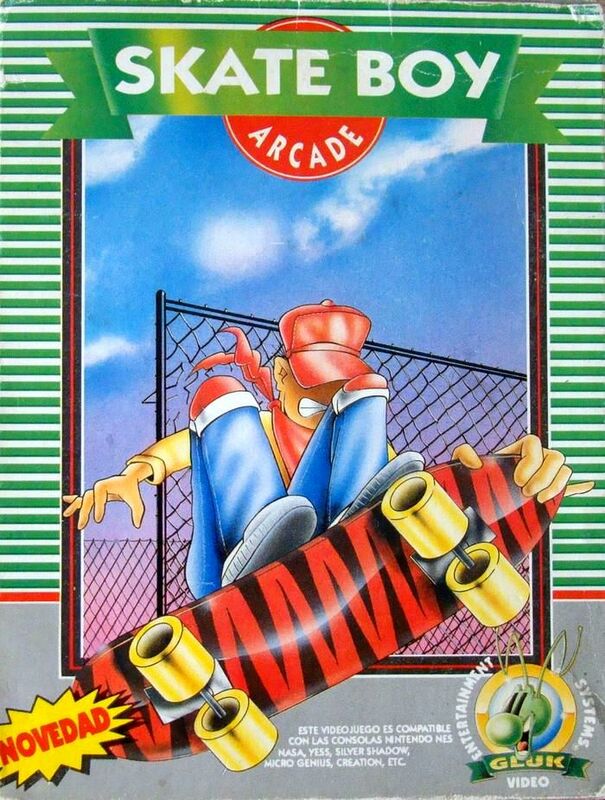 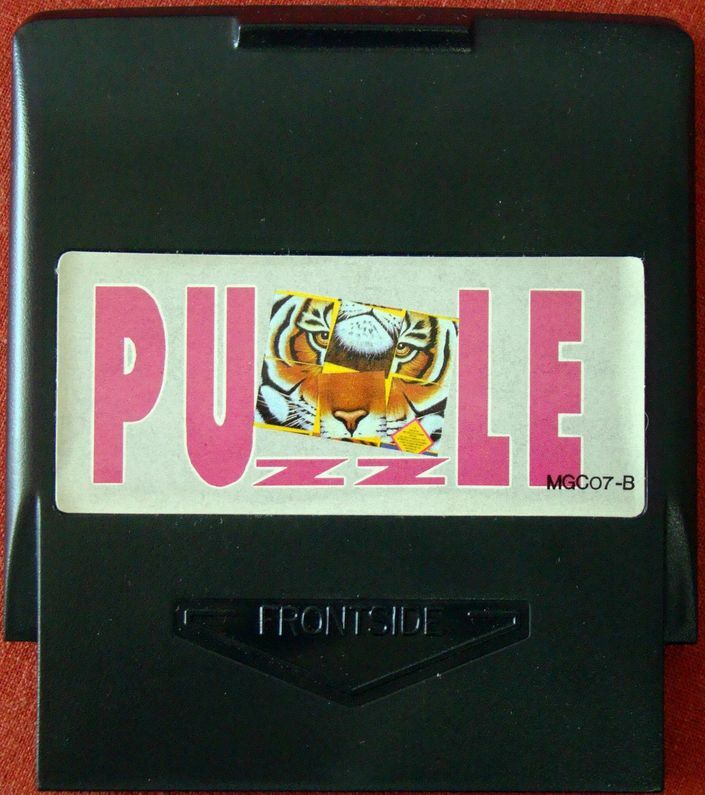 -The game has only been found published by Gluk Video. 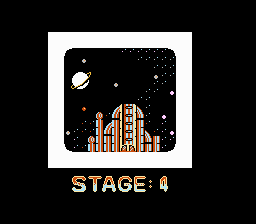 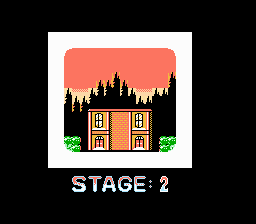 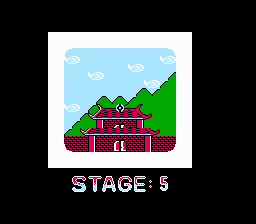 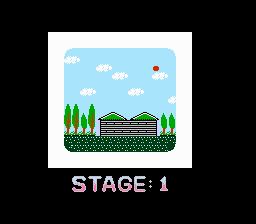 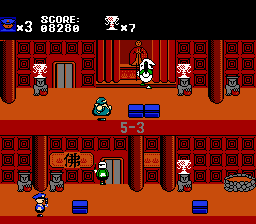 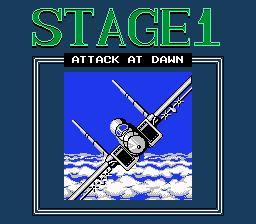 -On the stages 4-2, 4-3 y 4-4 there is a bug that prevents to enter through the exit doors, these are hidden on other locations. 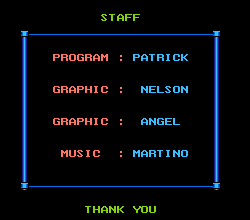 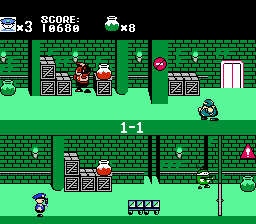 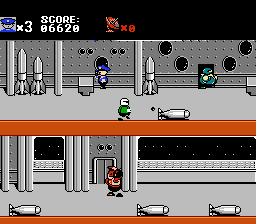 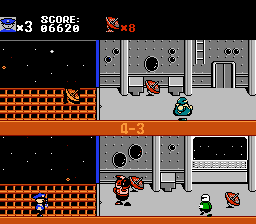 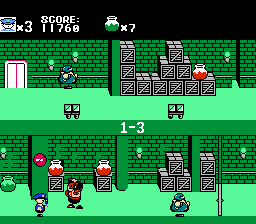 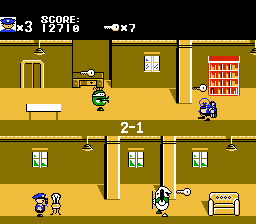 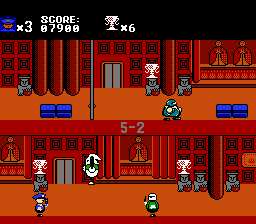 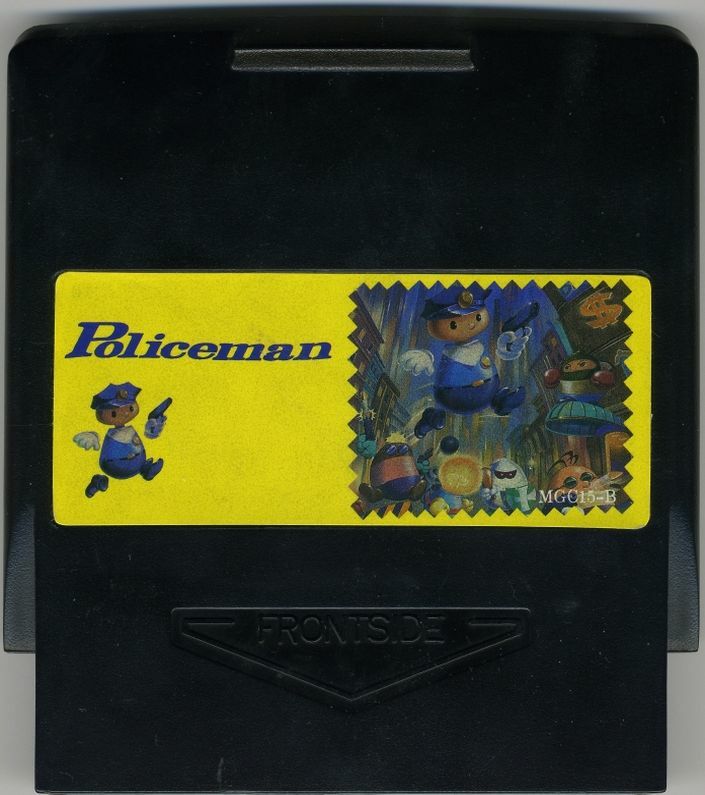 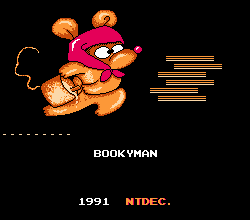 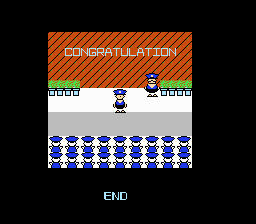 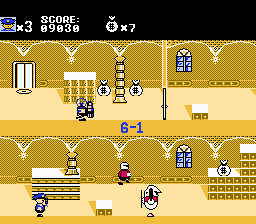 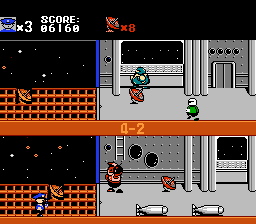 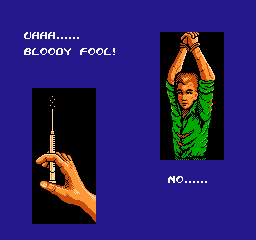 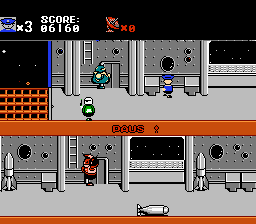 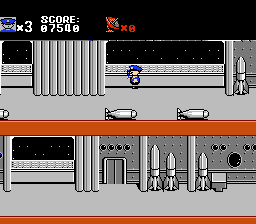 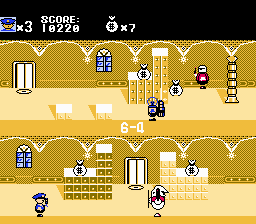 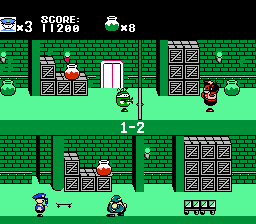 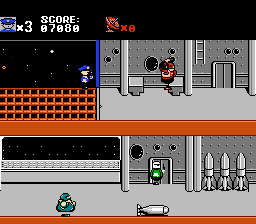 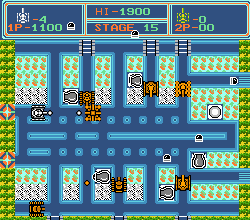 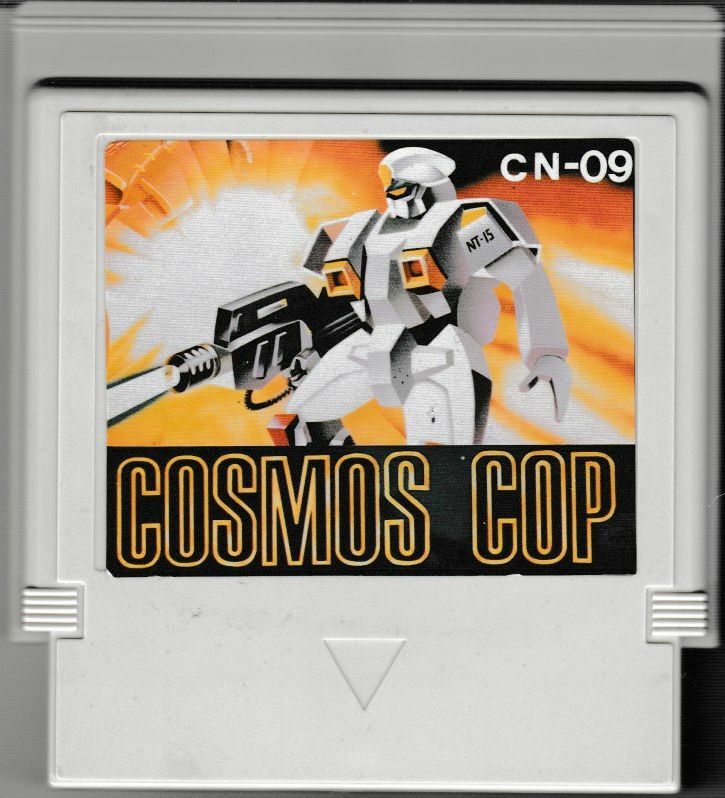 -Clone of Bonanza Bros. but with policemen instead of thieves. 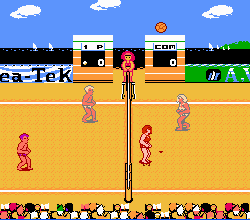 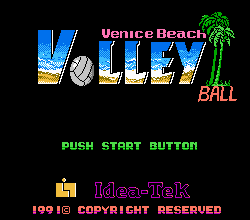 2 vs 2 beach volley game. 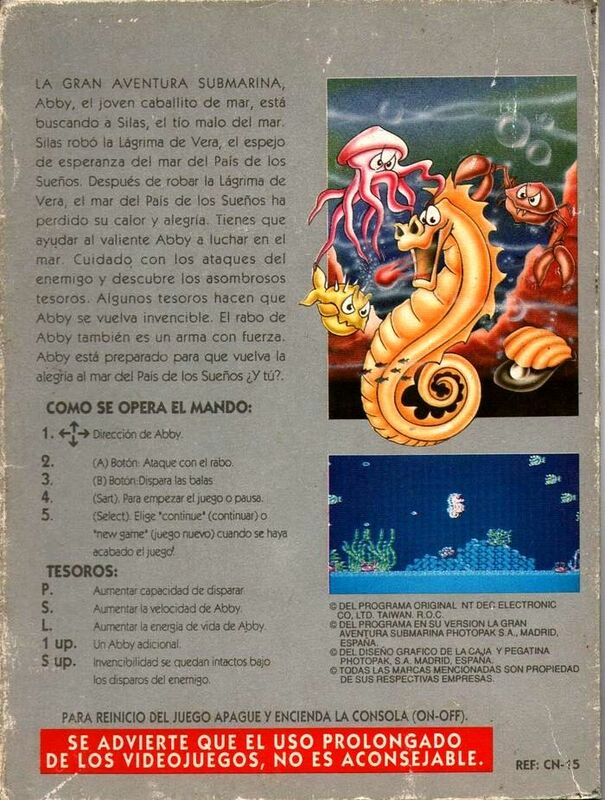 -Appears in 6 IN 1 (MGC-023). 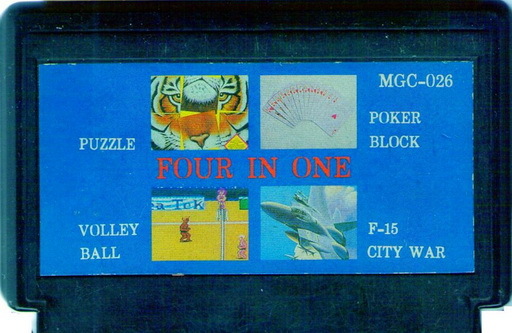 -Appears in FOUR IN ONE (MGC-026). 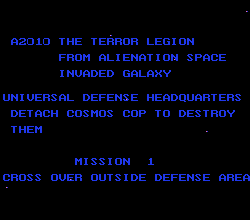 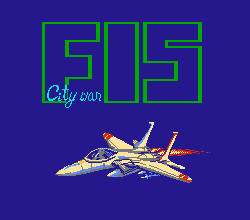 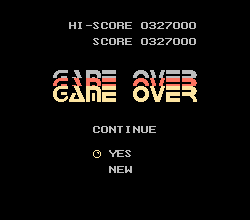 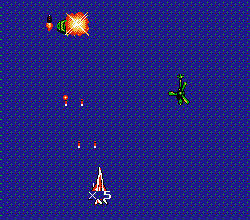 Shoot em up with different stages, ones in third person and others with vertical scrolling. 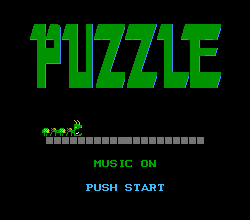 Classic 15 tiles puzzle which we have to put in order. 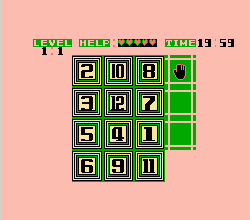 Difficult puzzle in which we have to copy the forms we see. 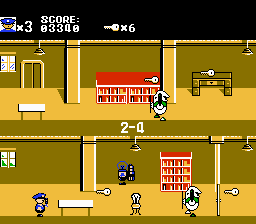 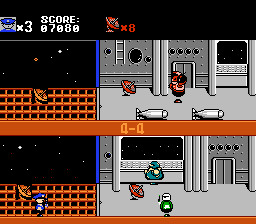 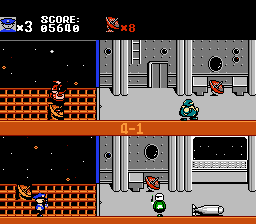 There are various power ups both for the principal weapon as for the bombs that go to the ground. 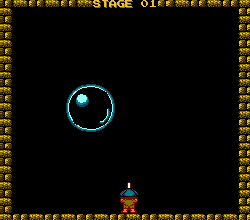 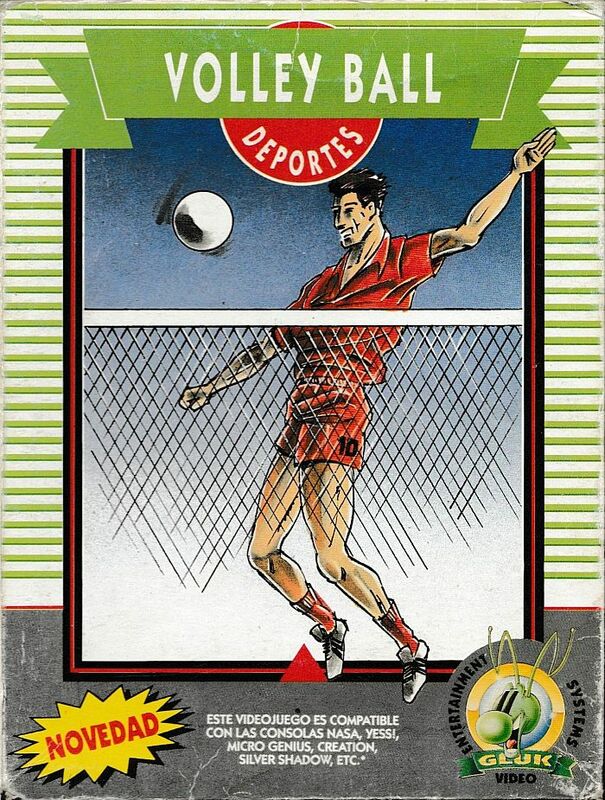 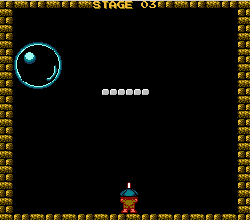 As original part you start with a ball that protects you from the shots and you can move it, but it doesn't last long. 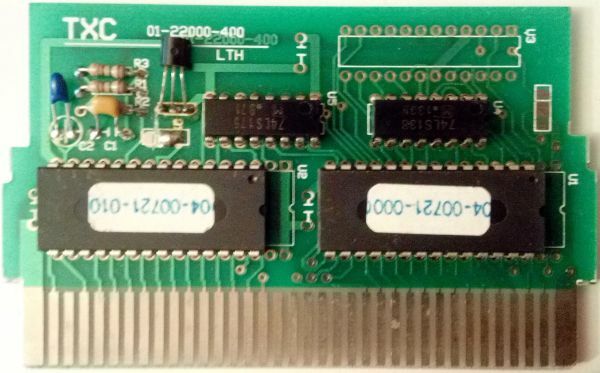 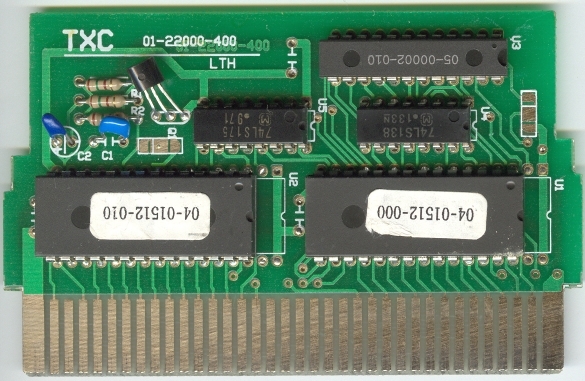 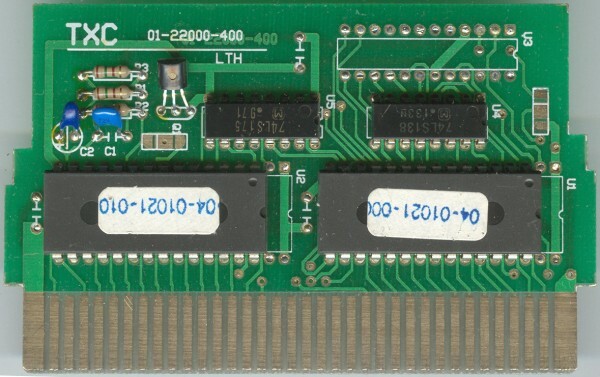 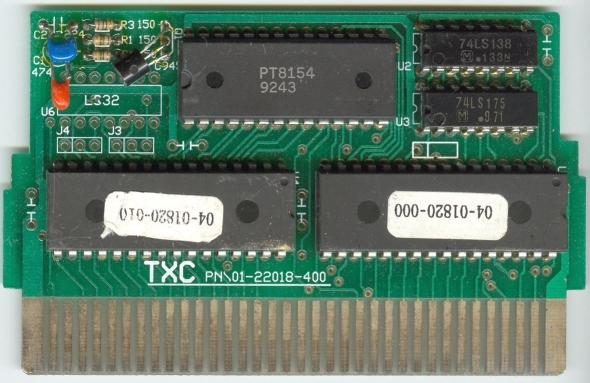 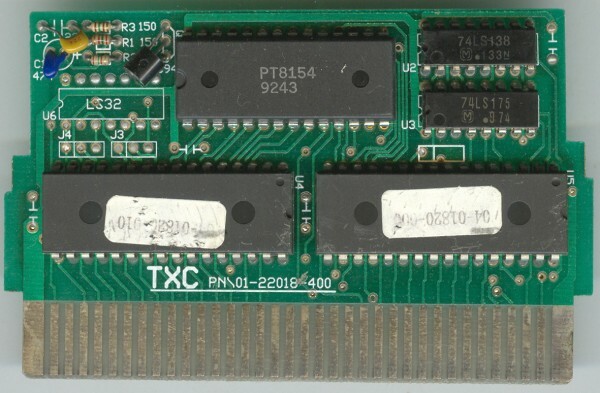 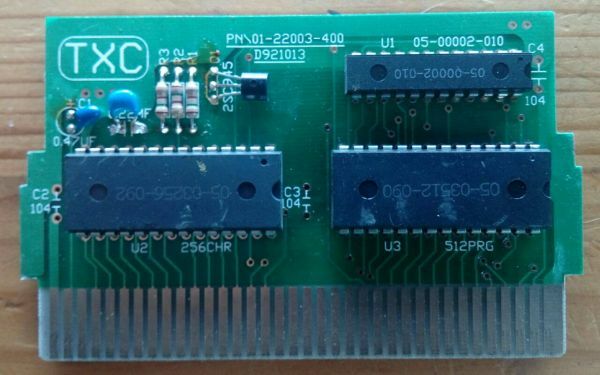 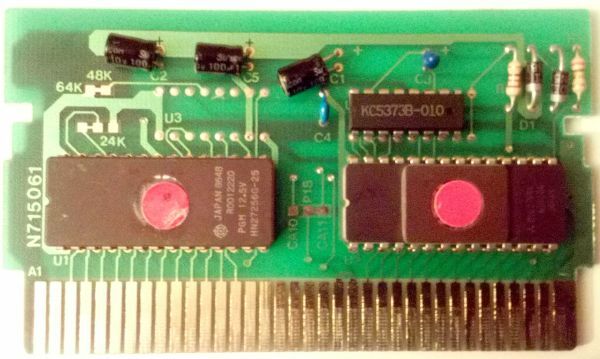 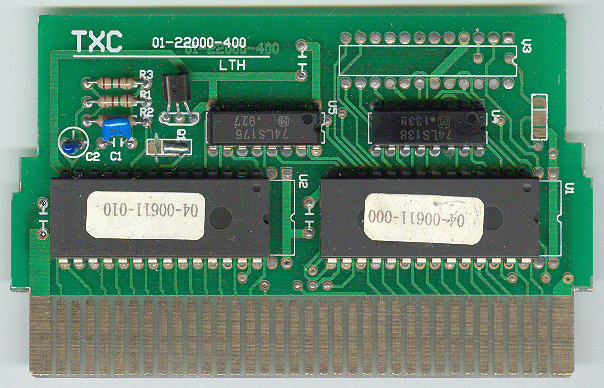 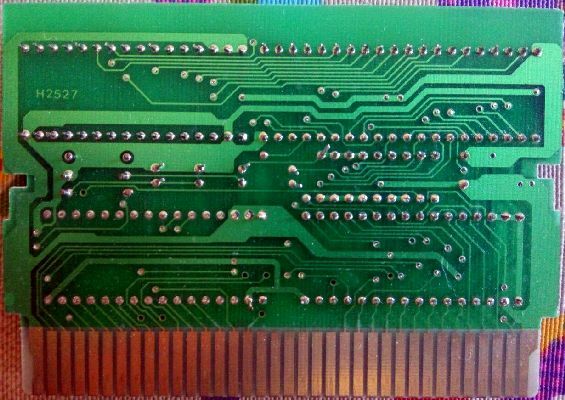 -There are two revisions of the central chip of the pcb, the TC-112 9210T and the TC-112 9229T, the 9210T contains a resistance on the back of the pcb. 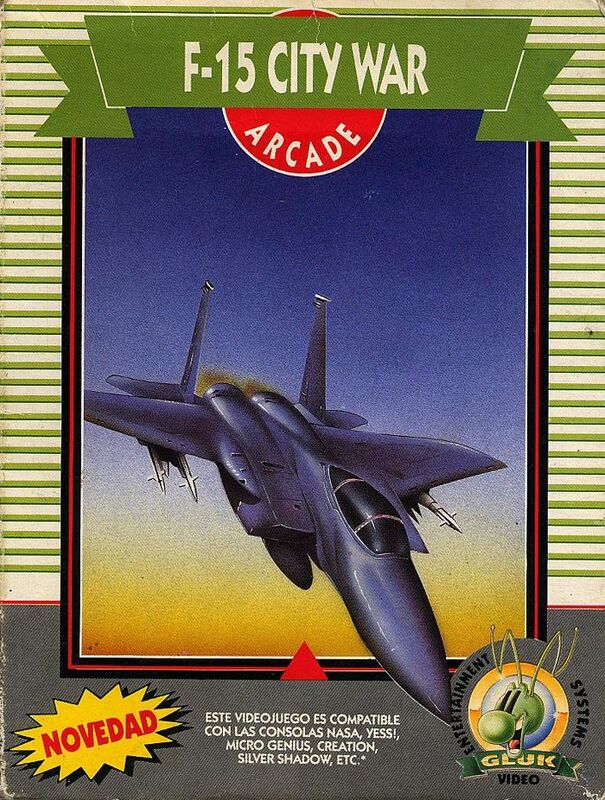 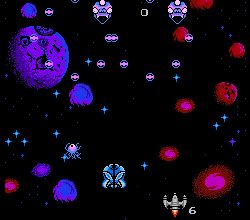 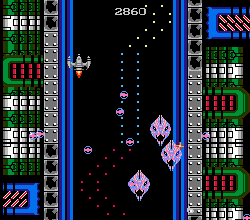 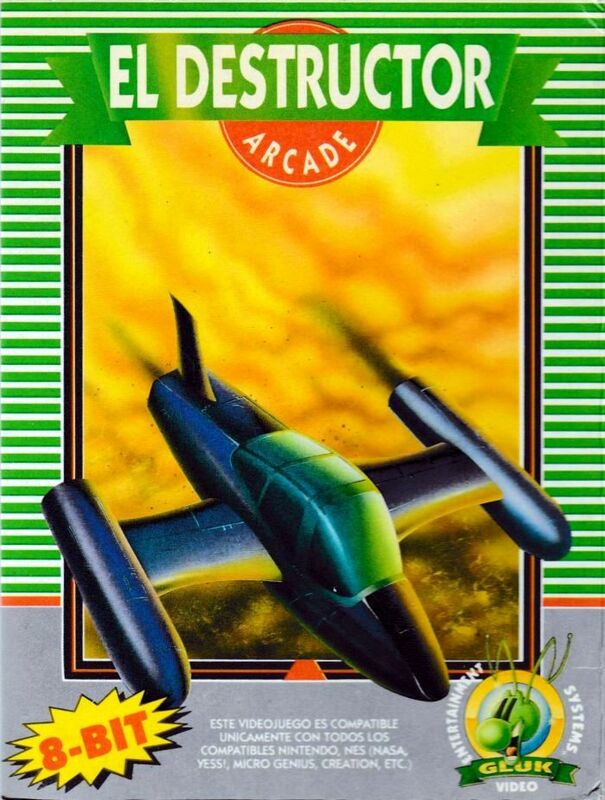 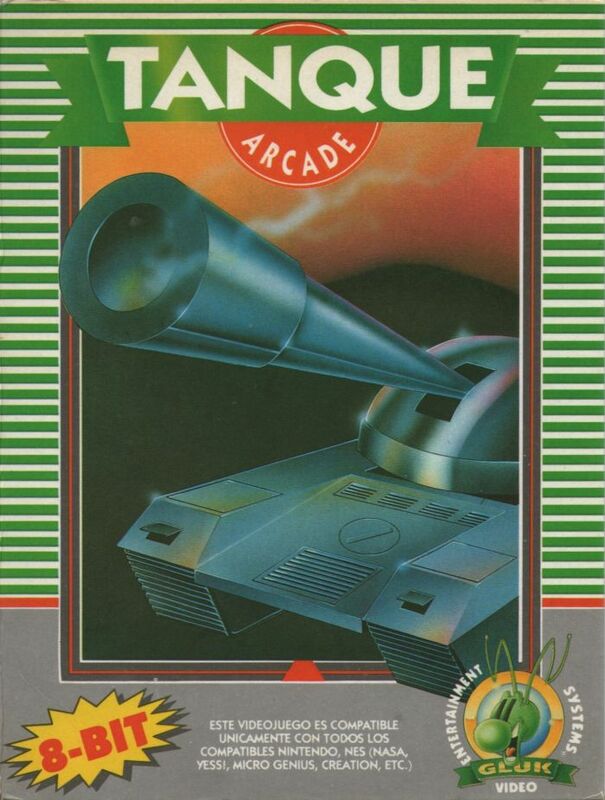 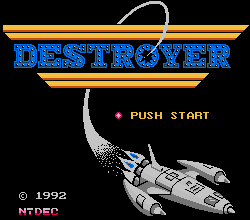 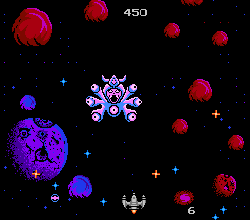 A horizontal shoot em up with various power ups. 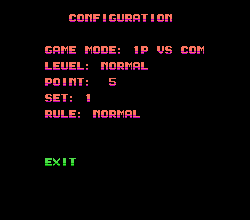 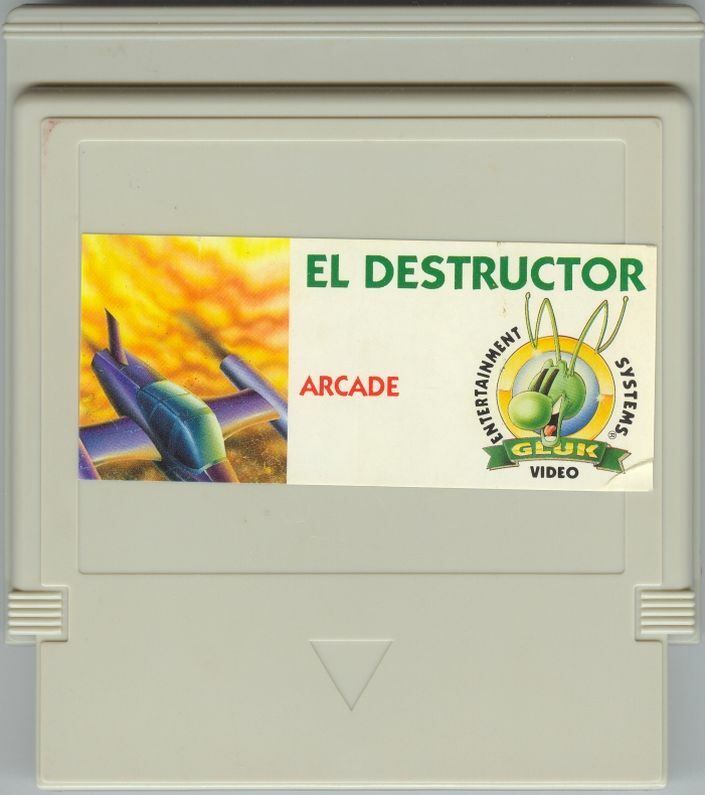 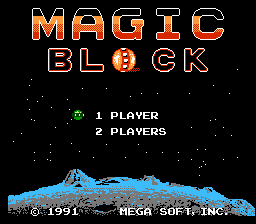 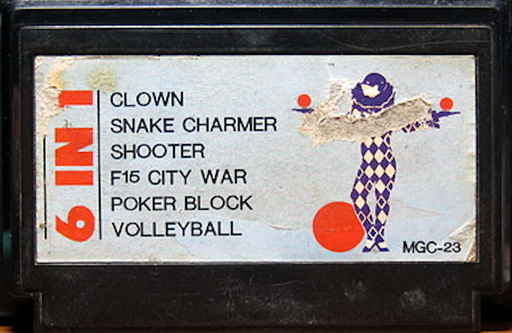 -Contains a cheat on the instructions, if we press SELECT+B our shoot power increases. 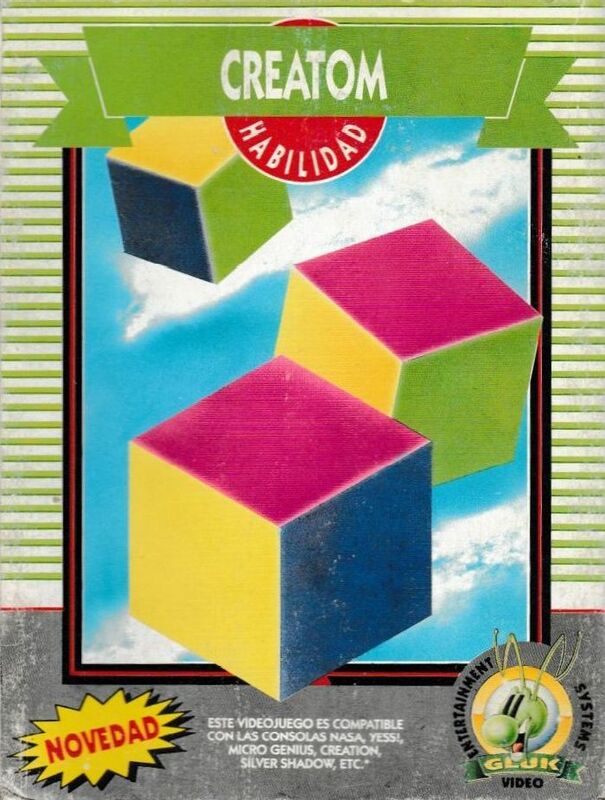 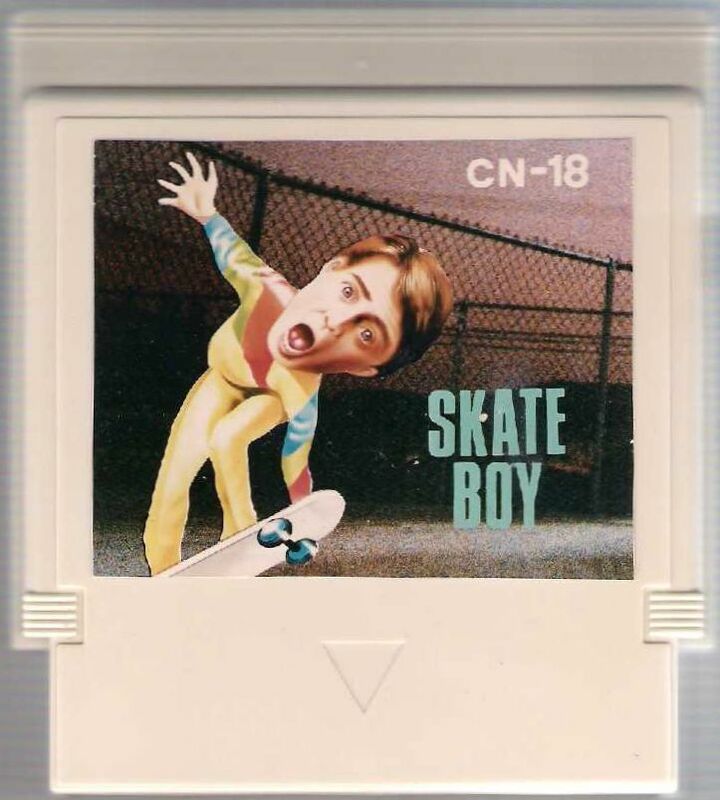 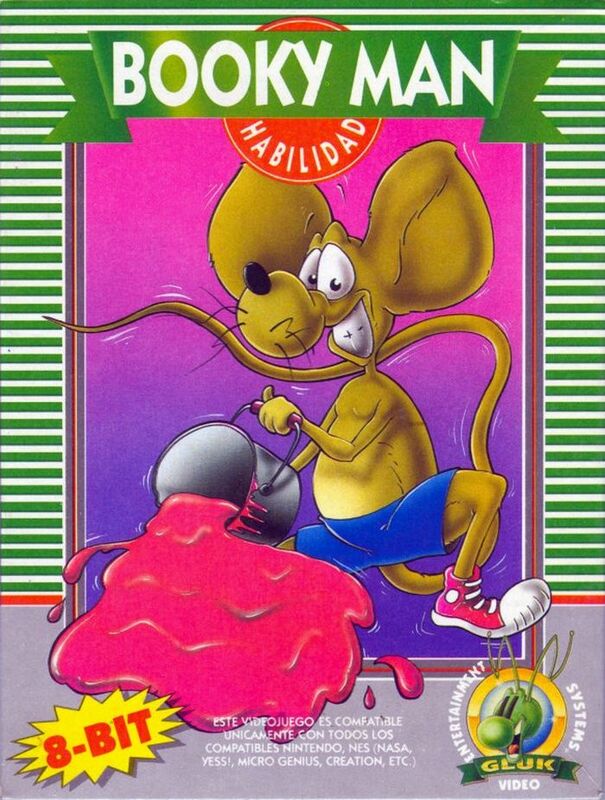 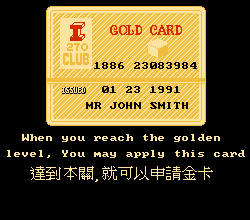 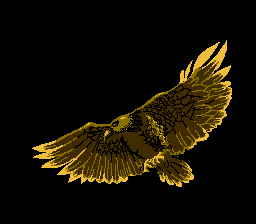 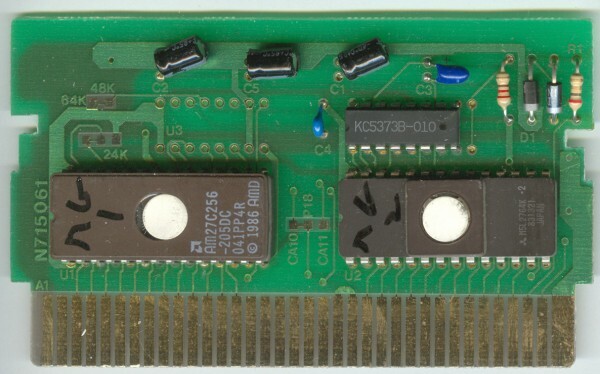 -Appears in PC-95 Educational Computer. 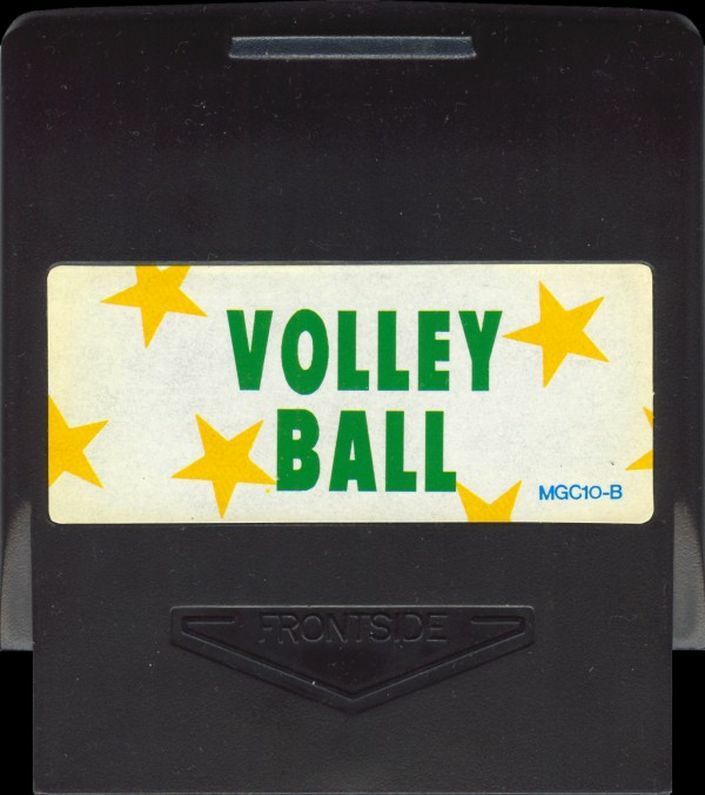 -Appears in 7 in 1 Plug-and-Play TV Games - PT01. 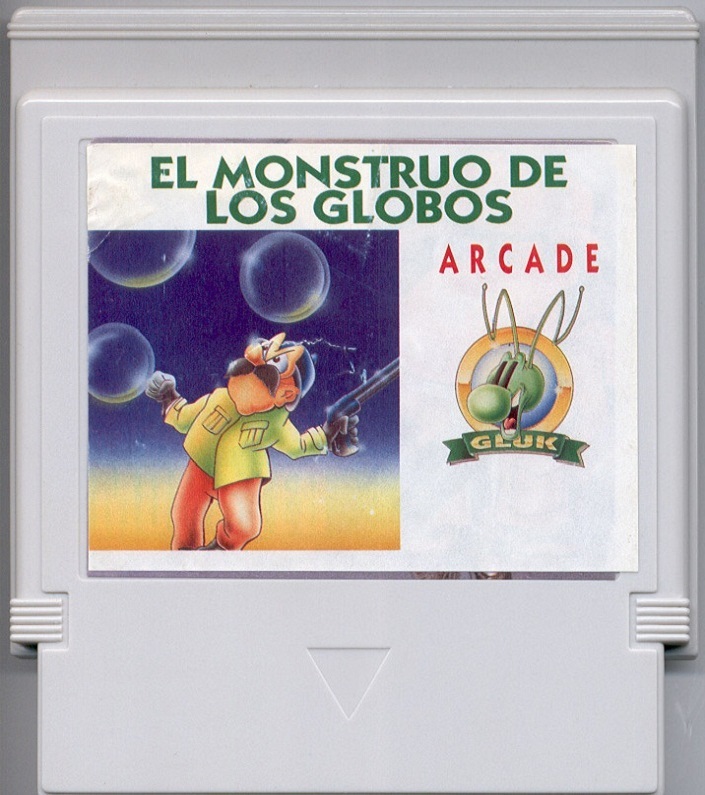 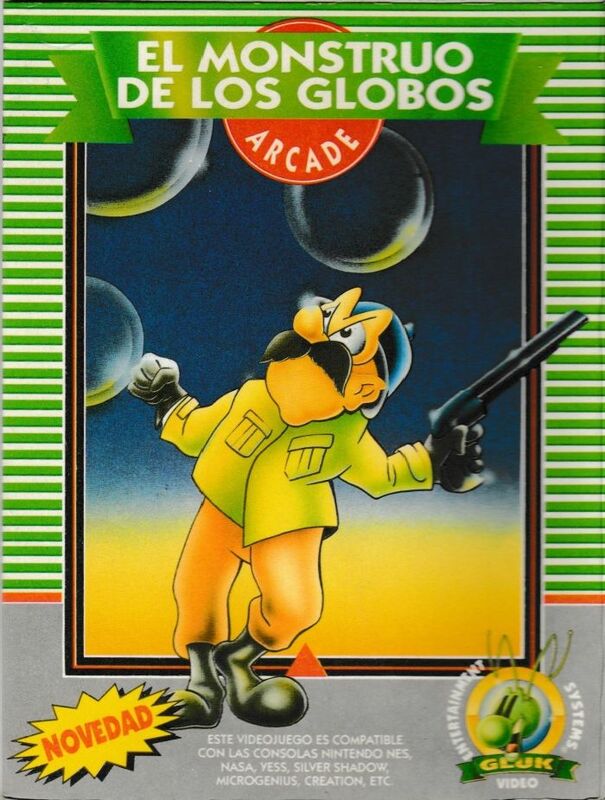 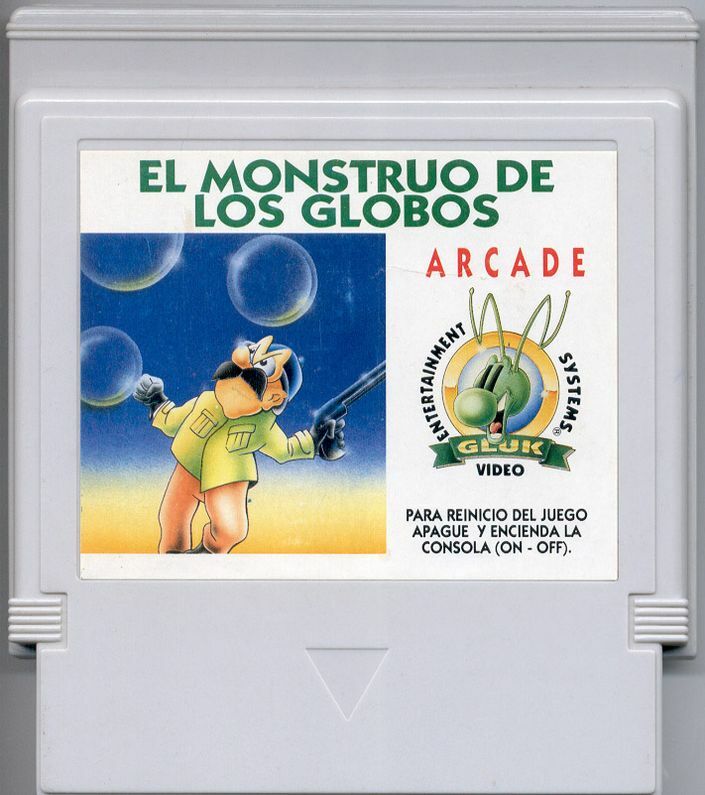 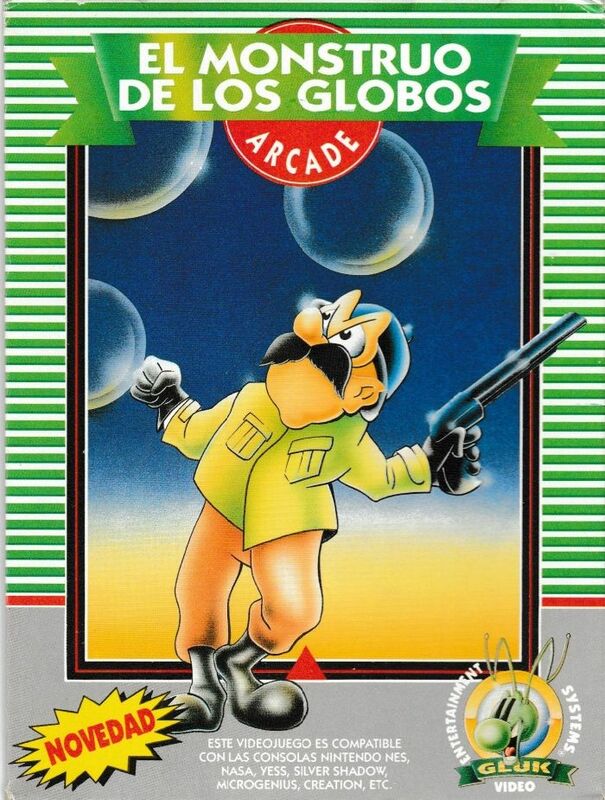 Kind of a shoot em up in which we have to destroy the bubbles on every level. 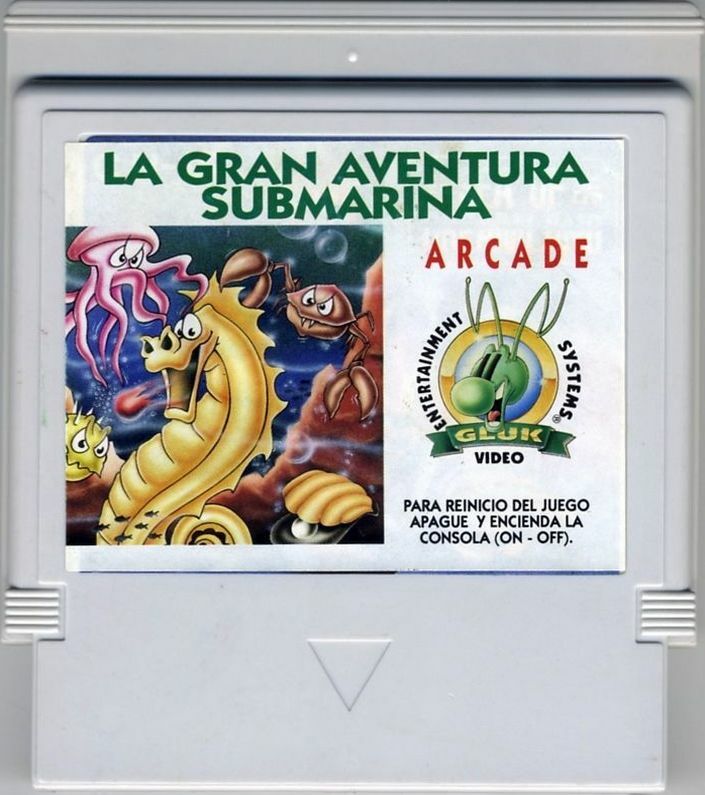 -Appears in 7 in 1 Plug-and-Play TV Games - PT02. 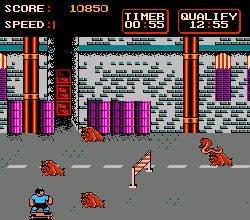 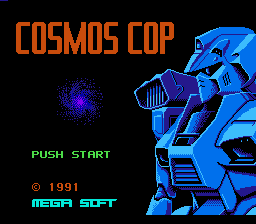 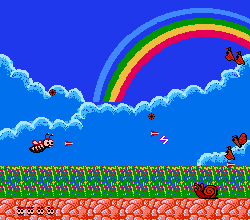 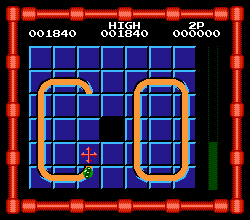 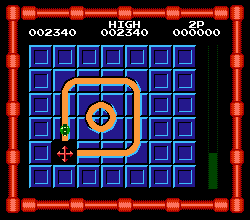 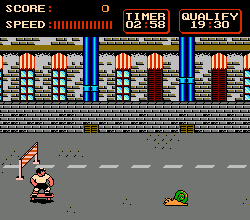 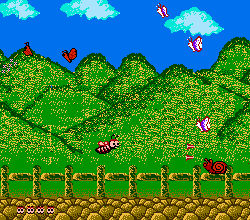 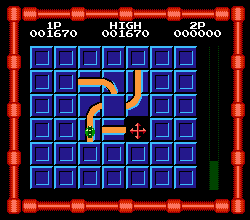 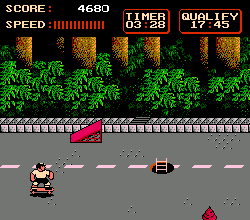 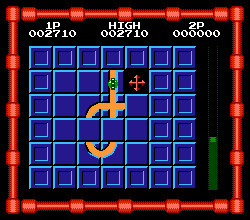 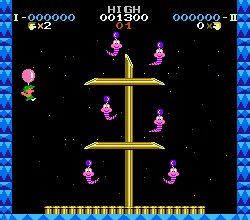 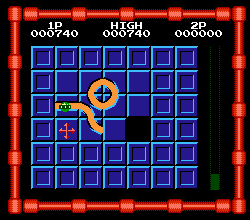 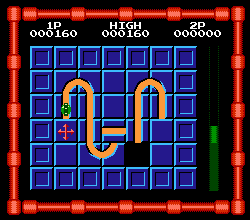 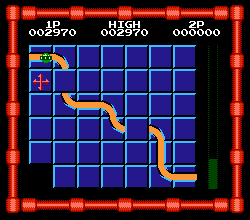 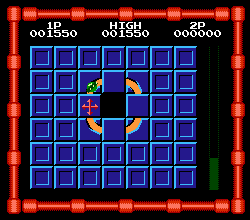 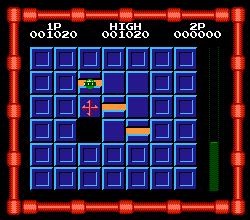 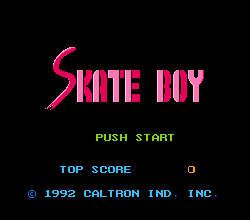 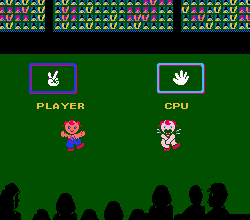 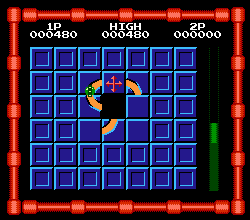 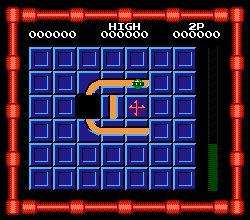 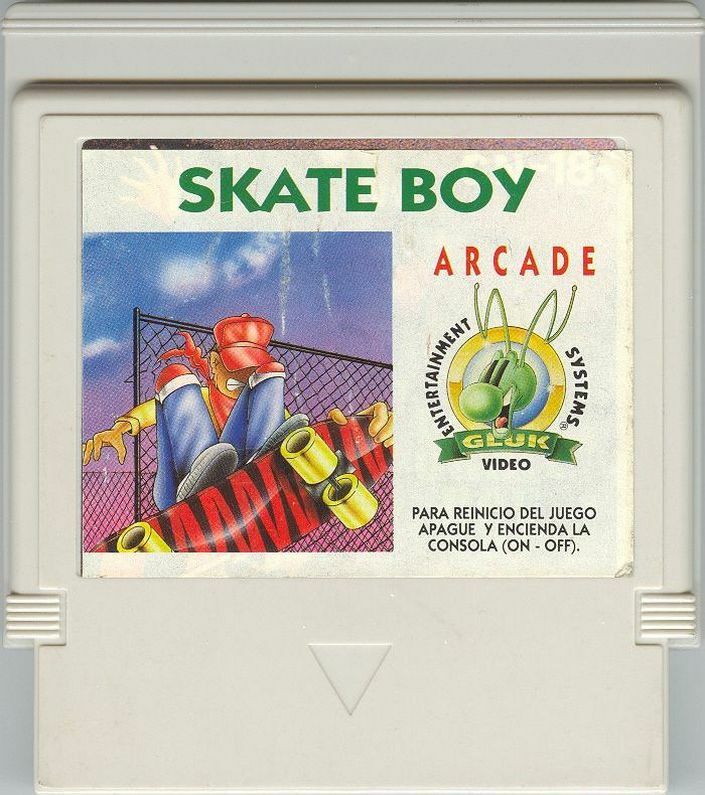 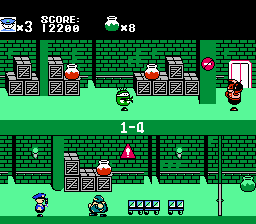 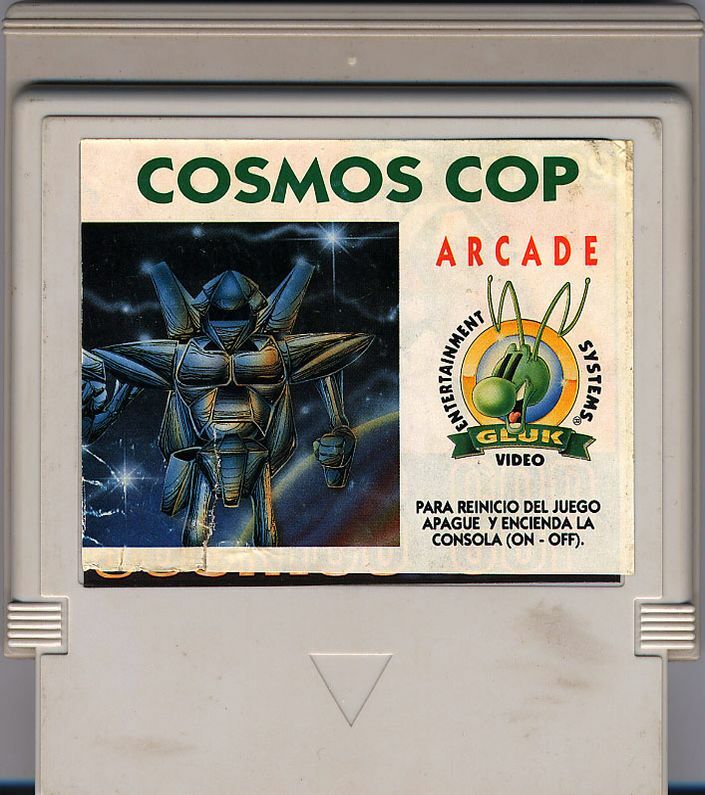 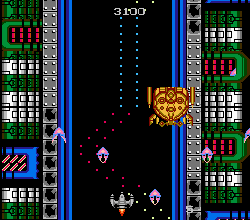 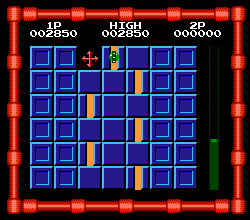 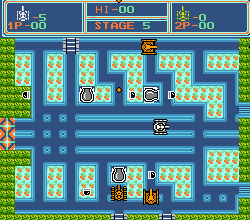 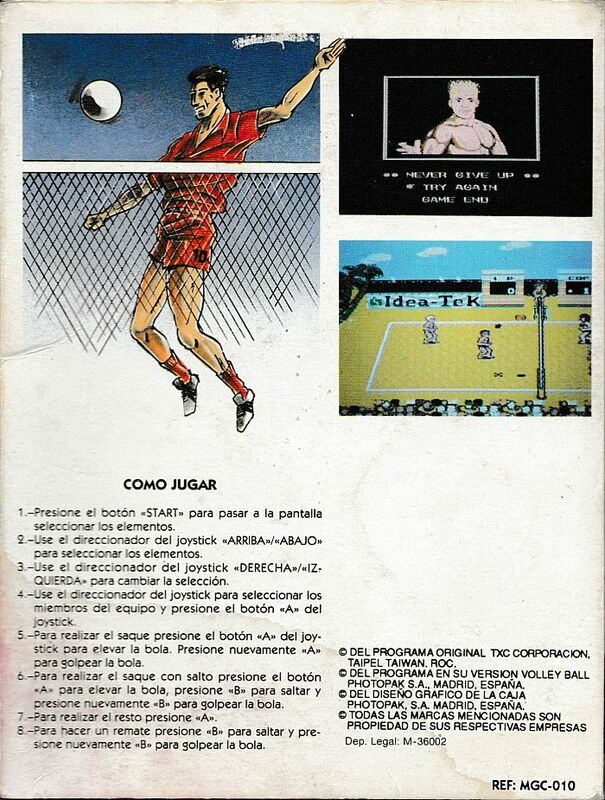 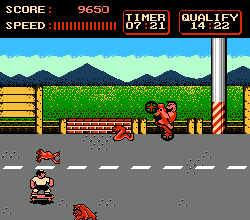 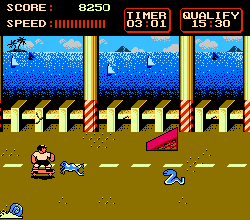 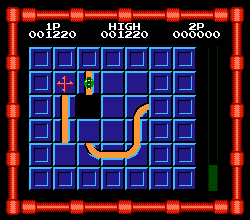 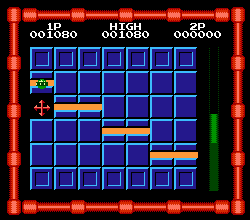 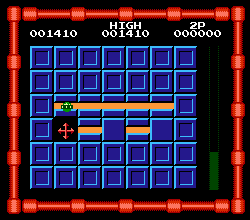 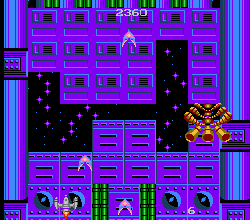 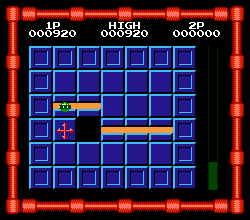 An arcade with horizontal scrolling in which we have to dodge objects and getting power ups to arrive to the goal before the time runs out. 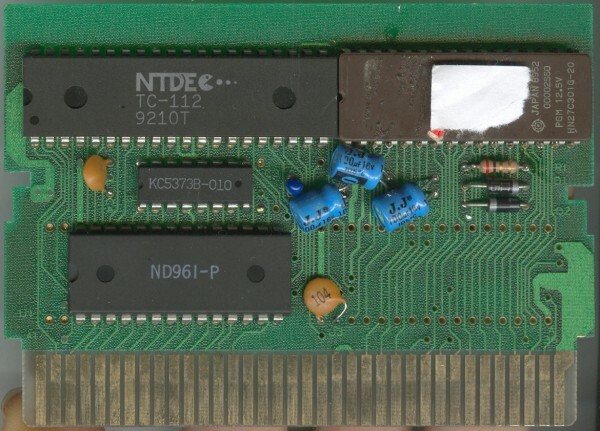 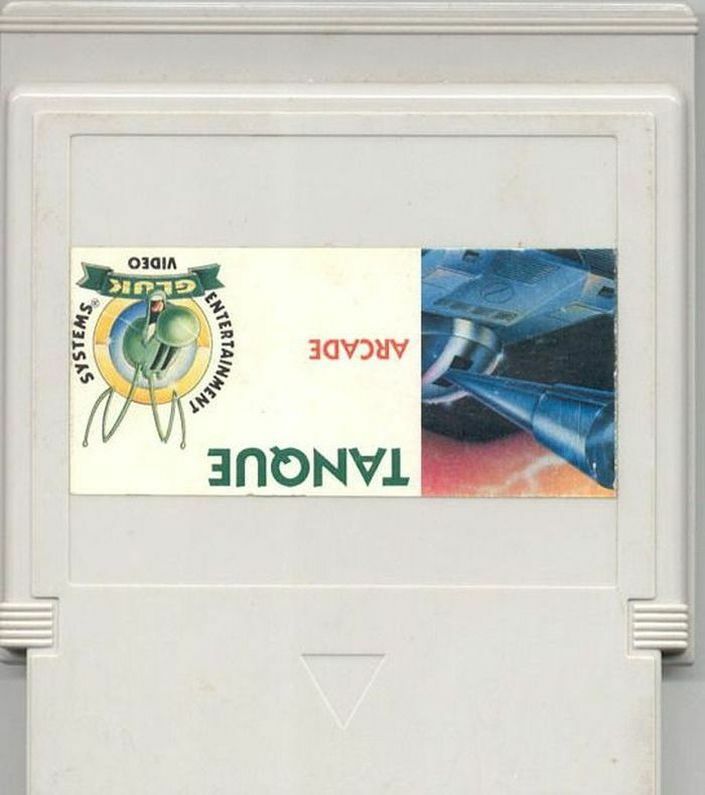 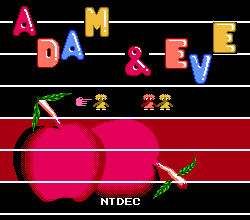 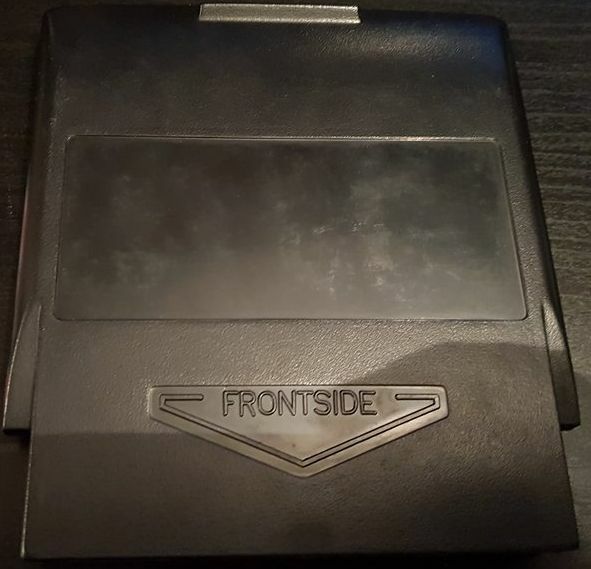 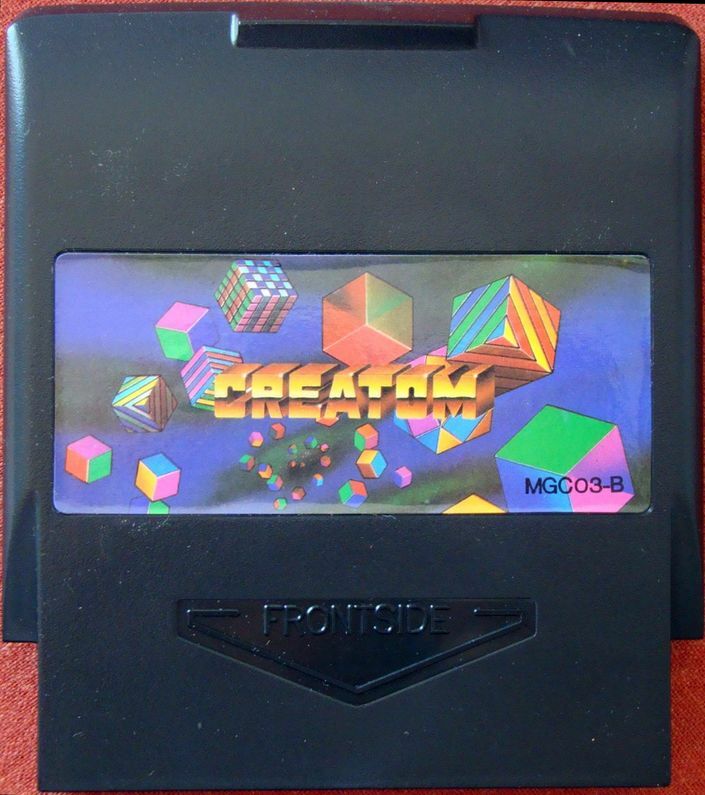 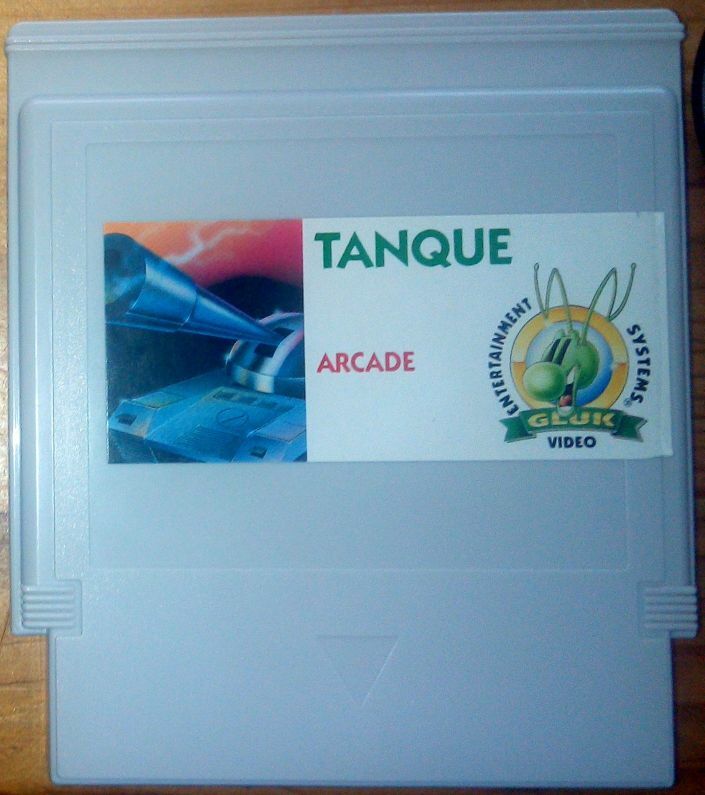 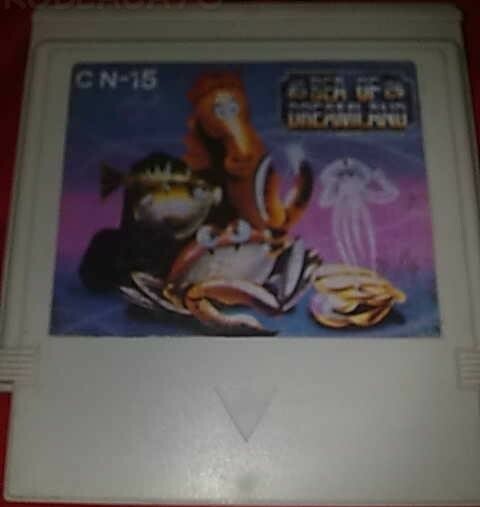 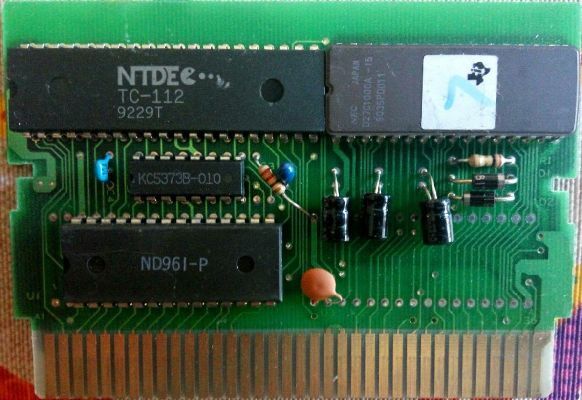 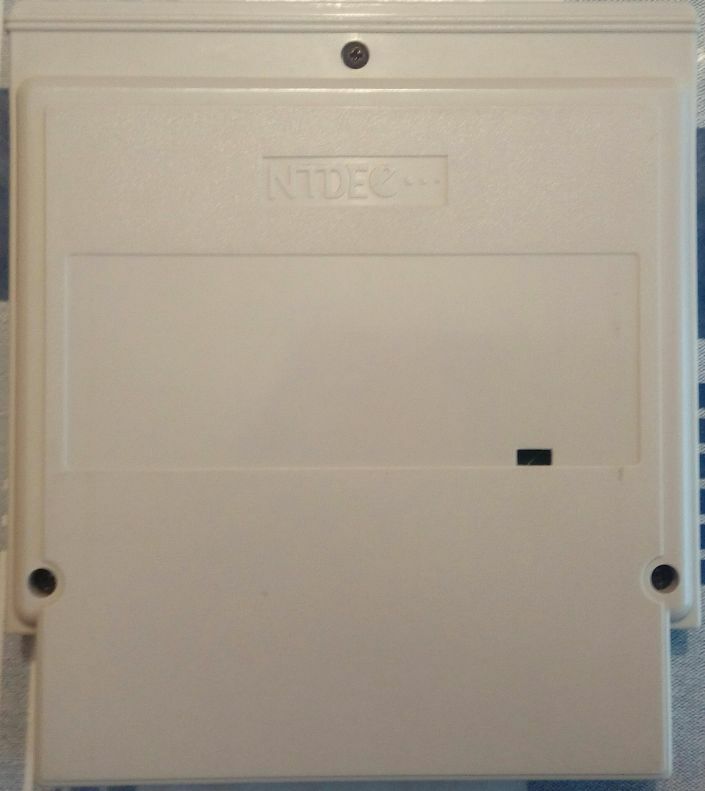 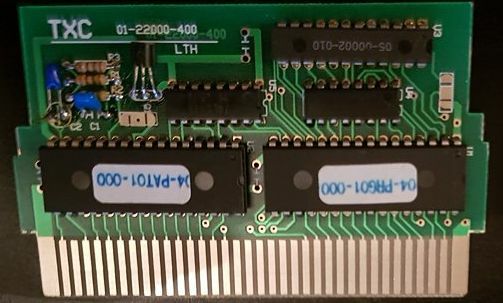 -One of the carts found has the NTDEC logo on the back. 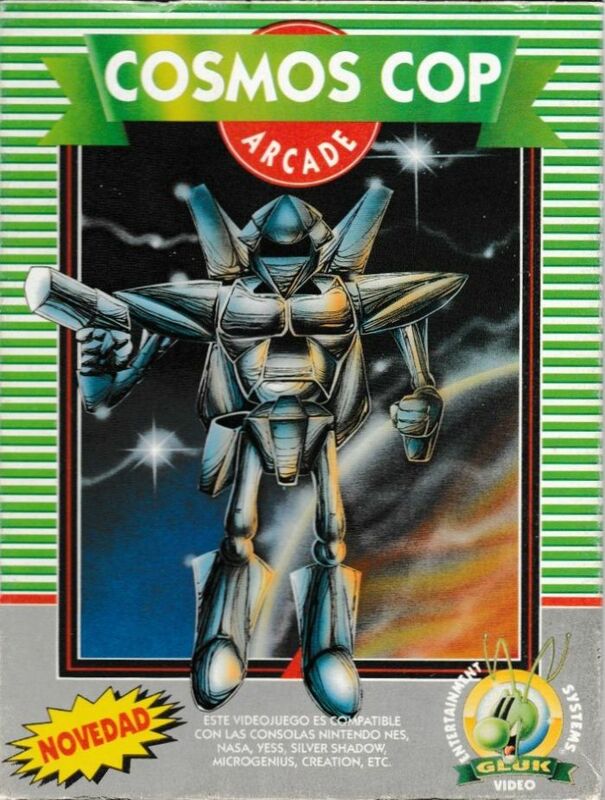 Third person game in which we control a robot that that makes its way with their shots. 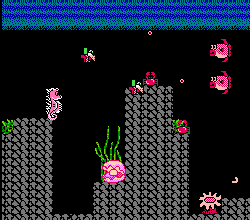 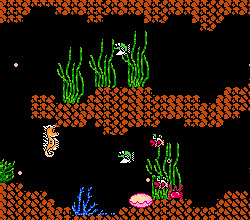 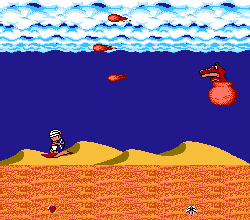 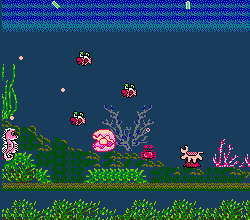 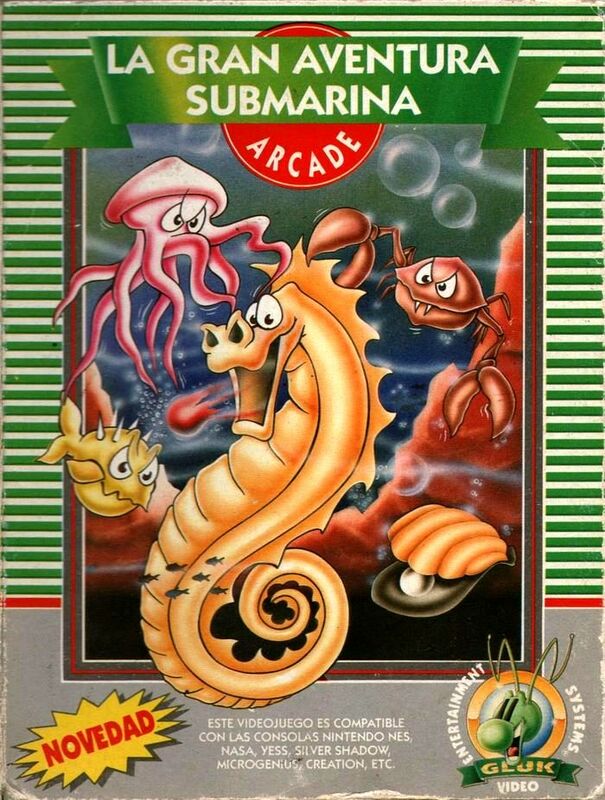 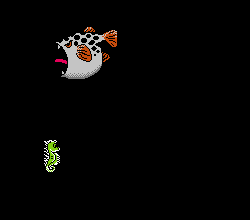 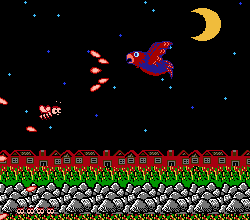 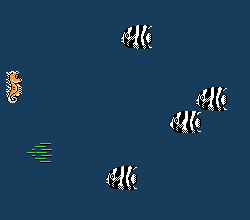 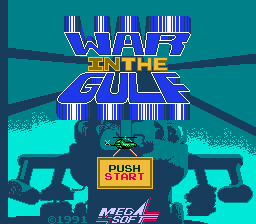 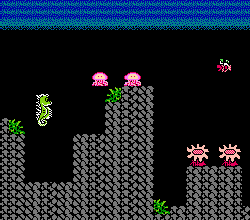 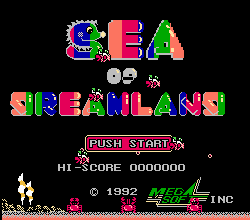 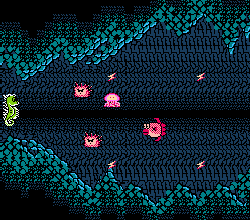 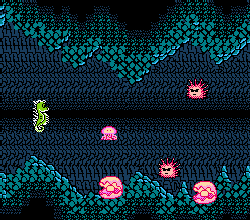 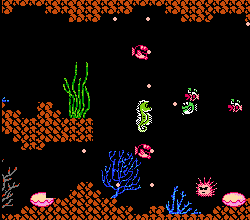 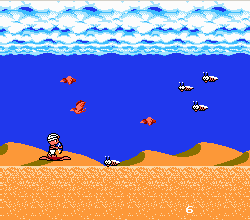 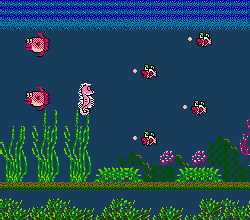 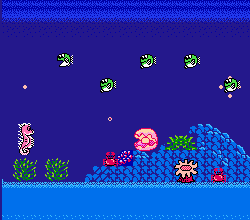 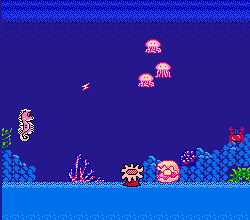 A horizontal shoot em up in which you control a seahorse, there are power ups that upgrade the shot and you can hit with the tail. 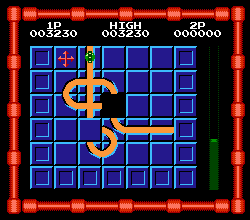 Game arcade/puzzle in which we have to take the ship to destiny moving the pieces that contain the circuit. 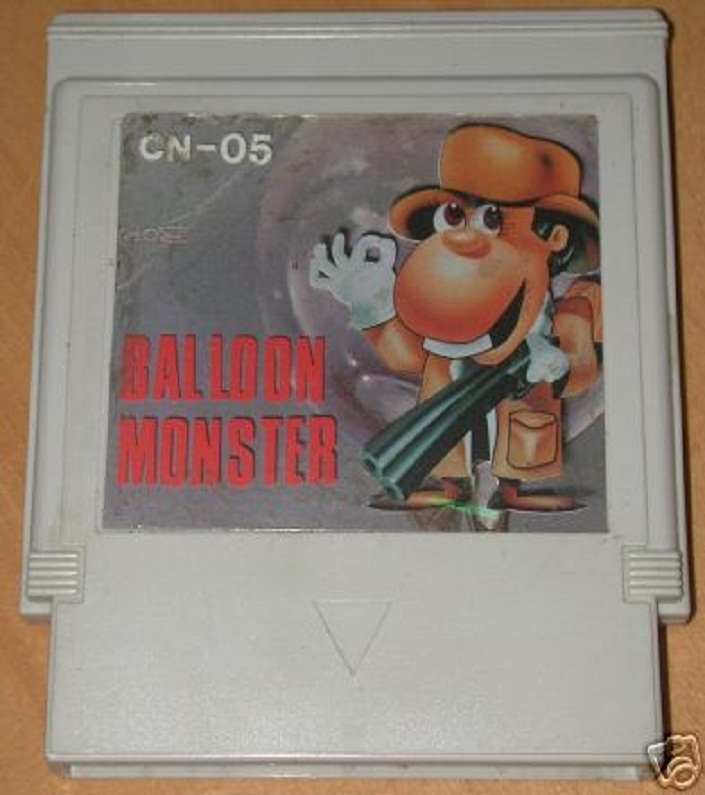 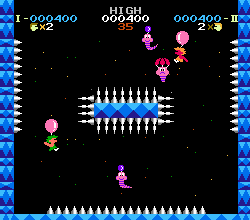 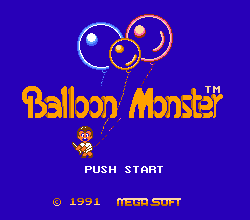 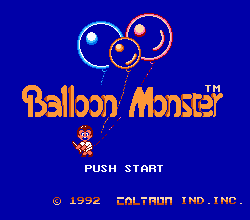 In this game you have to pop the balloons of the enemies without letting them pop yours. 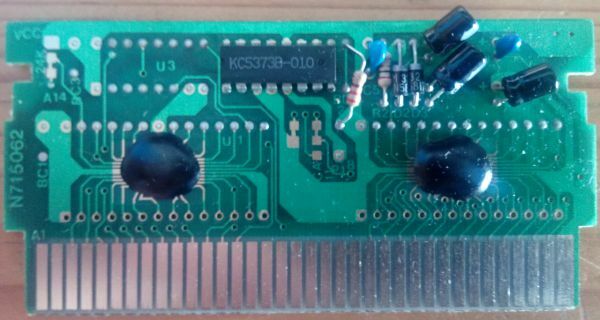 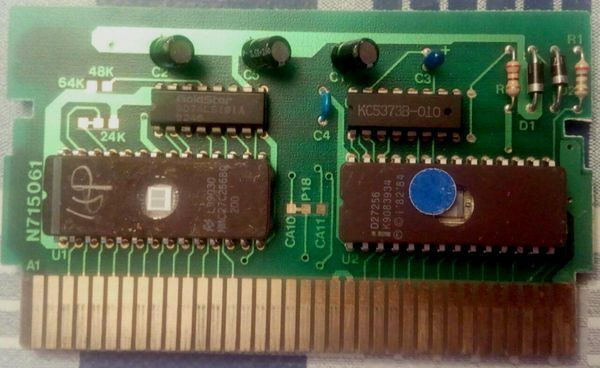 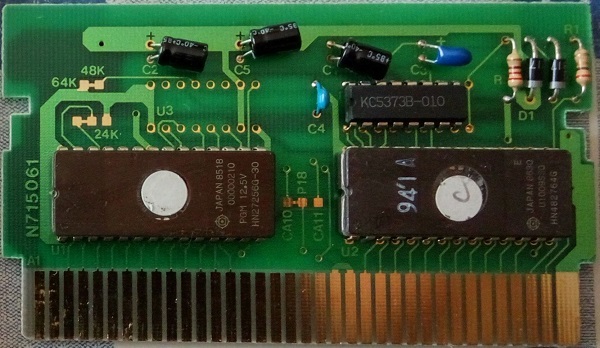 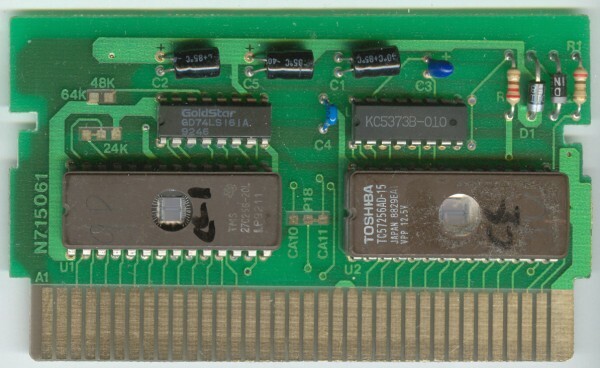 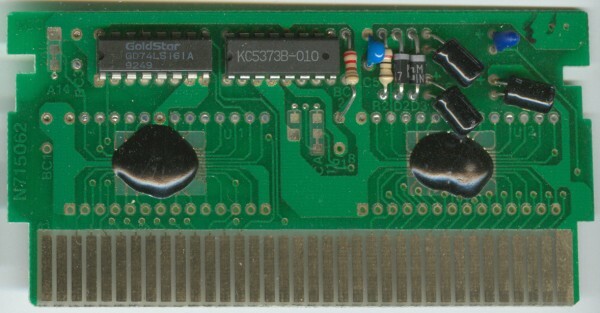 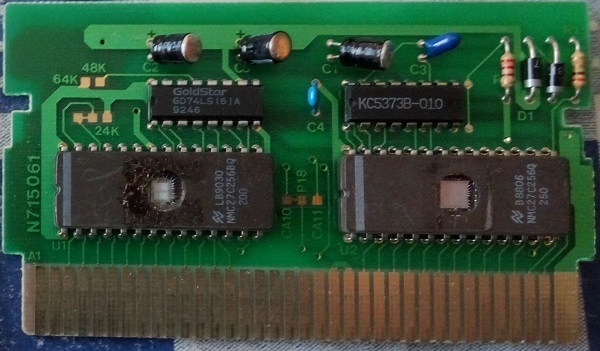 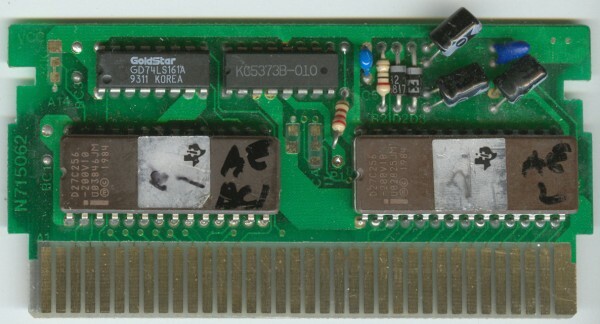 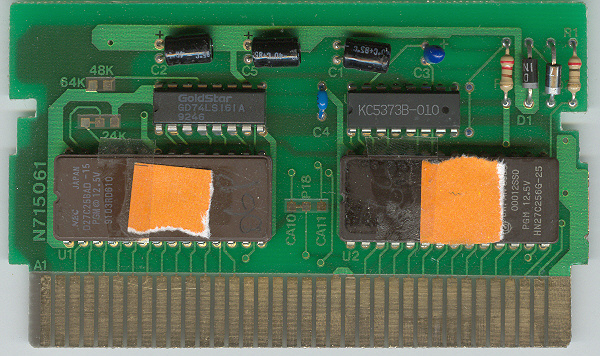 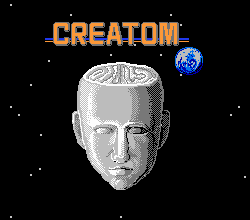 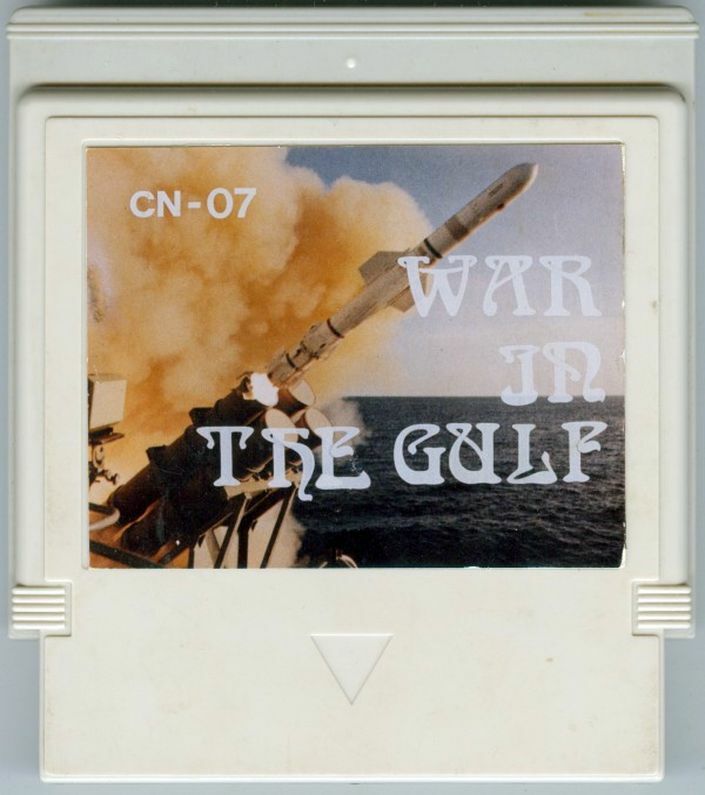 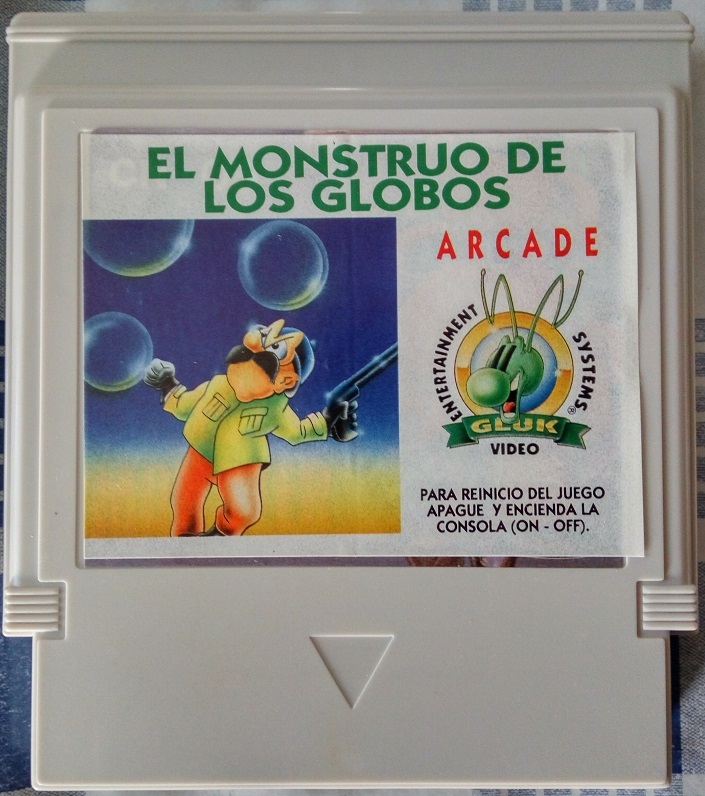 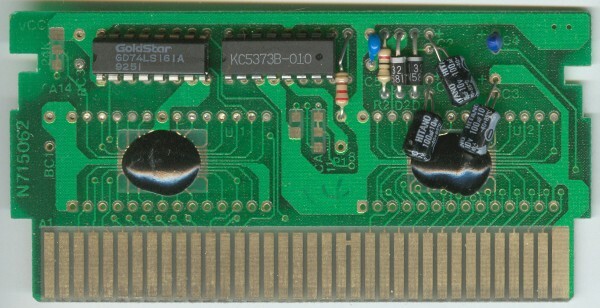 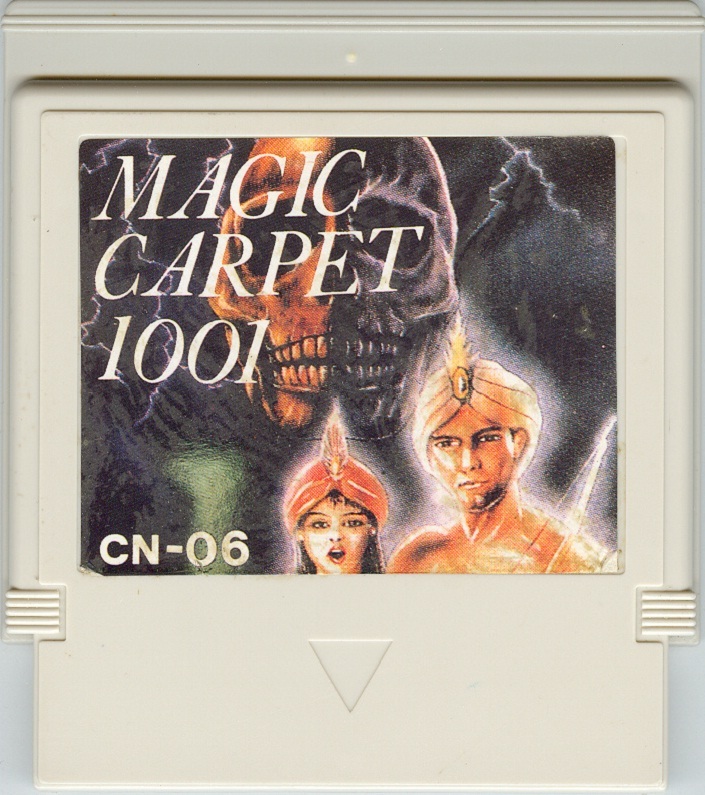 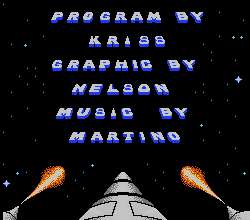 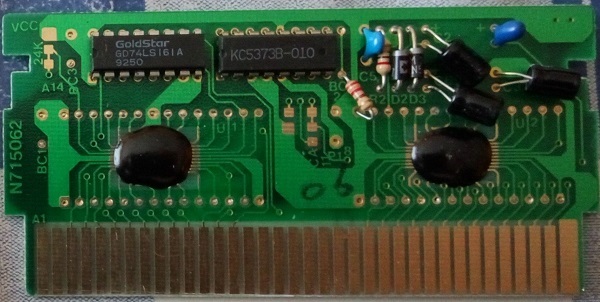 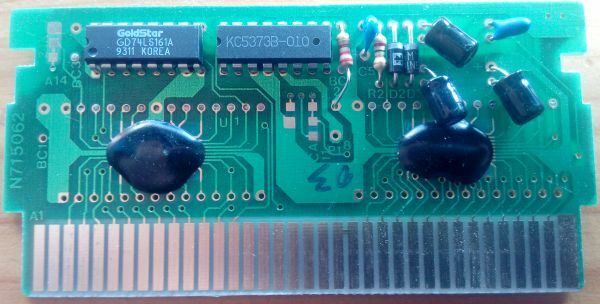 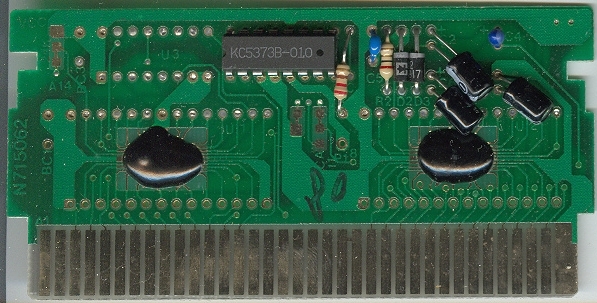 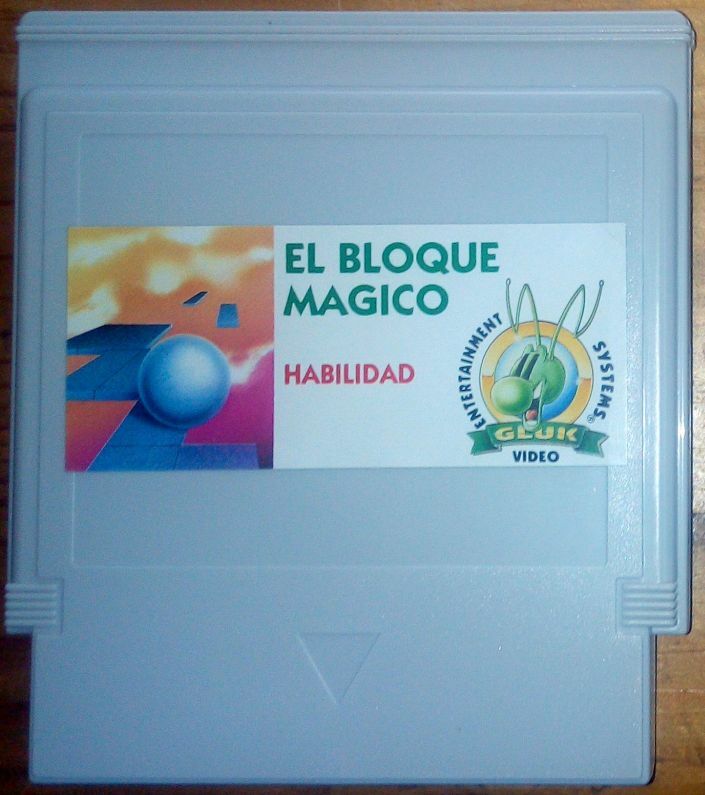 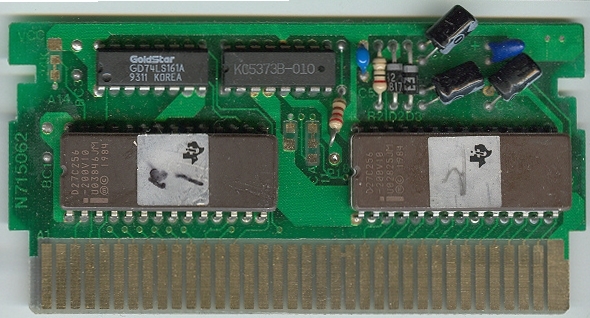 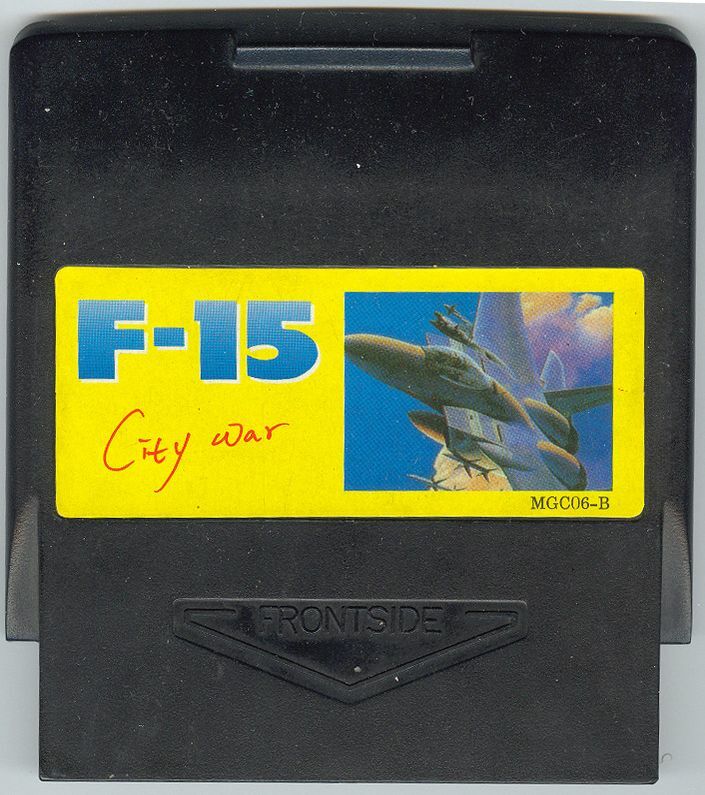 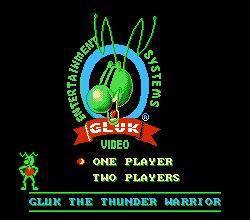 -The original game had 16KB of CHR-ROM, but on the Gluk edition it has 32KB, but the last 16KB are empty, probably by shortage of 16KB EPROMS on the manufacturing time. 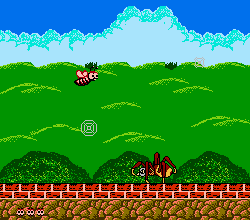 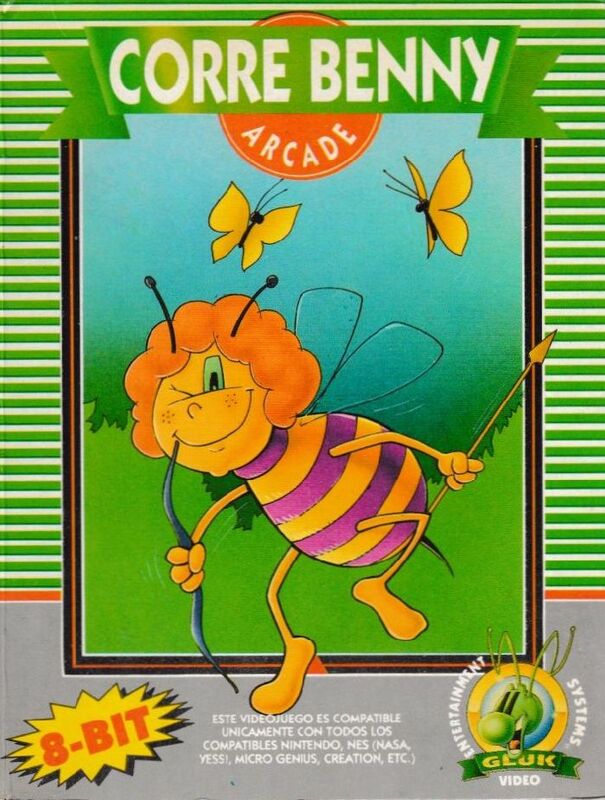 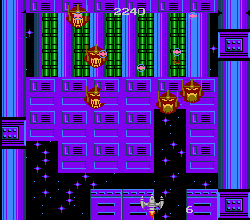 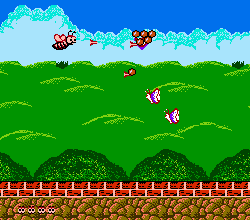 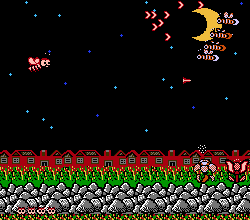 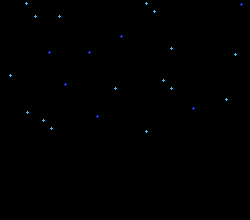 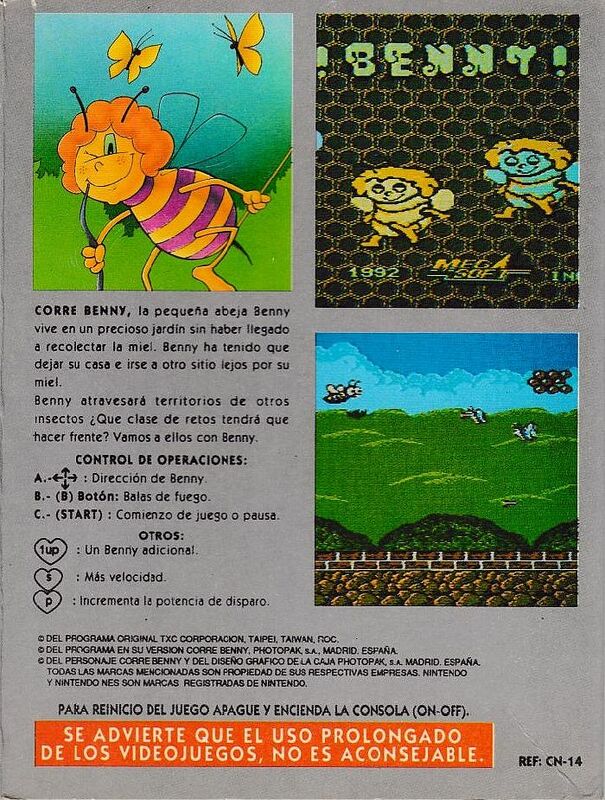 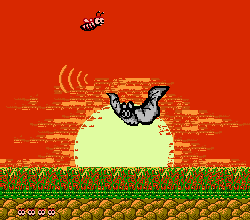 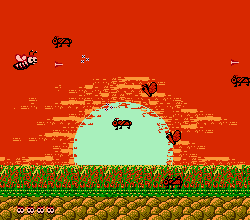 A horizontal shoot em up in which you control a bee, there are power ups that upgrade the shot and the speed. 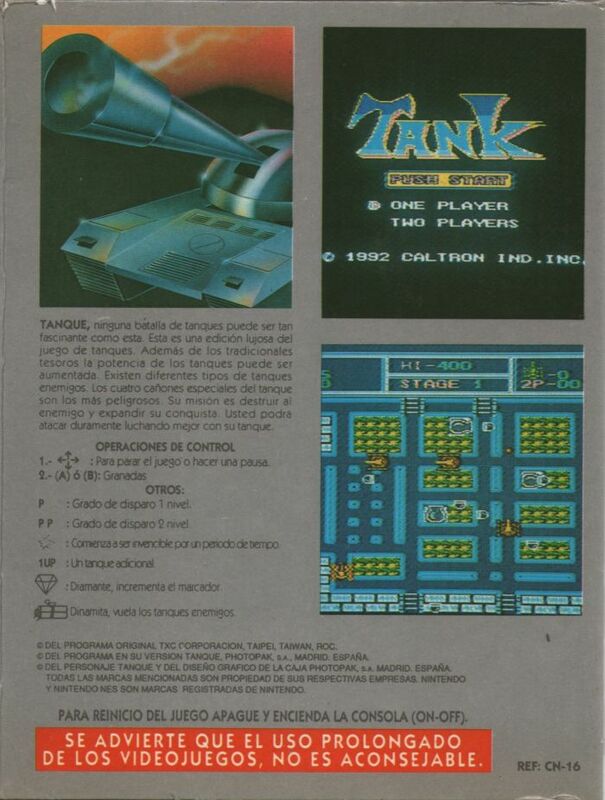 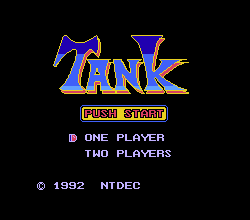 Tanks game in which we have to destroy the enemy tanks that spawn across the screen. 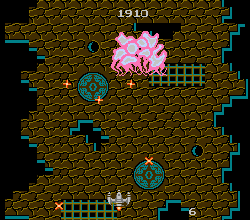 -Has a lot of bugs, some of them preventing to finish the game. 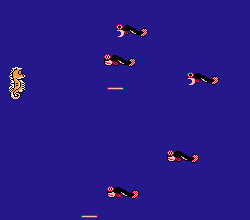 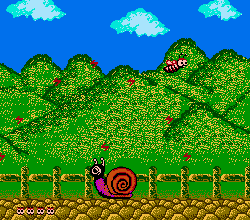 Similar to Pac-Man, we are chased by bugs that we have to dodge while we paint all the screen. 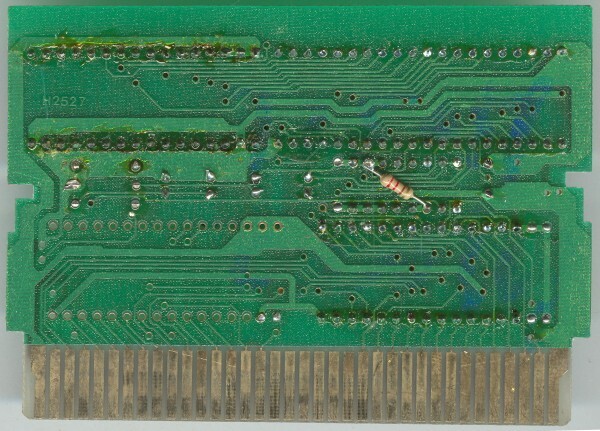 -A hack of Brush Roller.